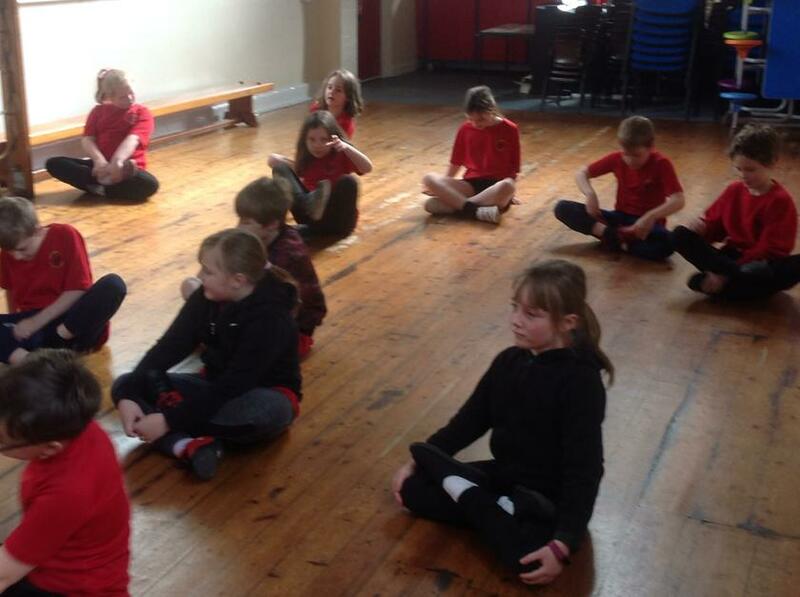 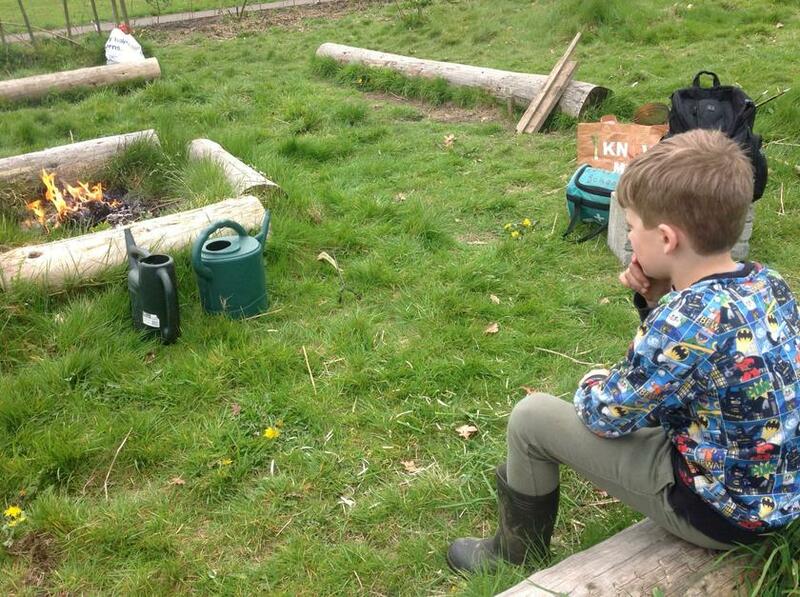 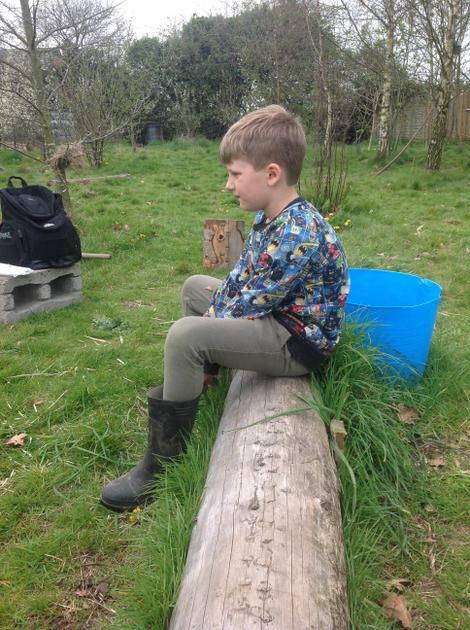 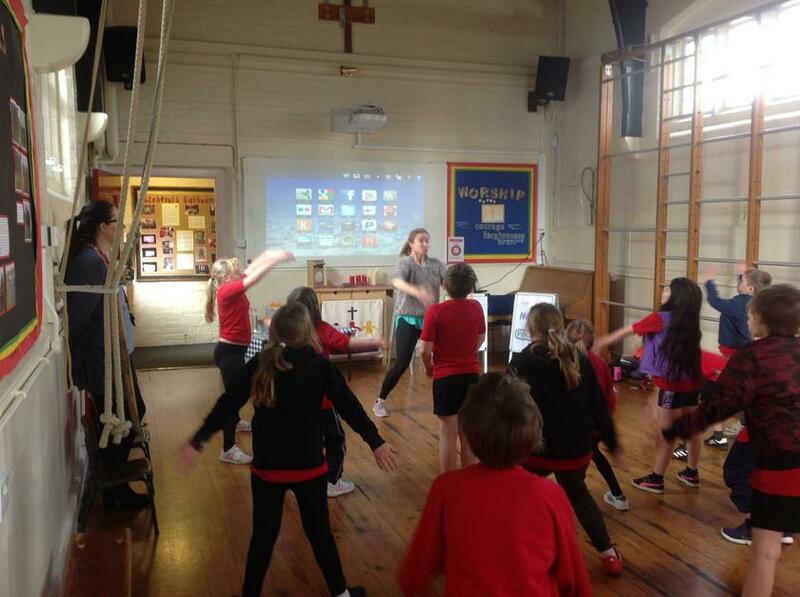 Ash class enjoyed their second workshop focusing on mindfulness. 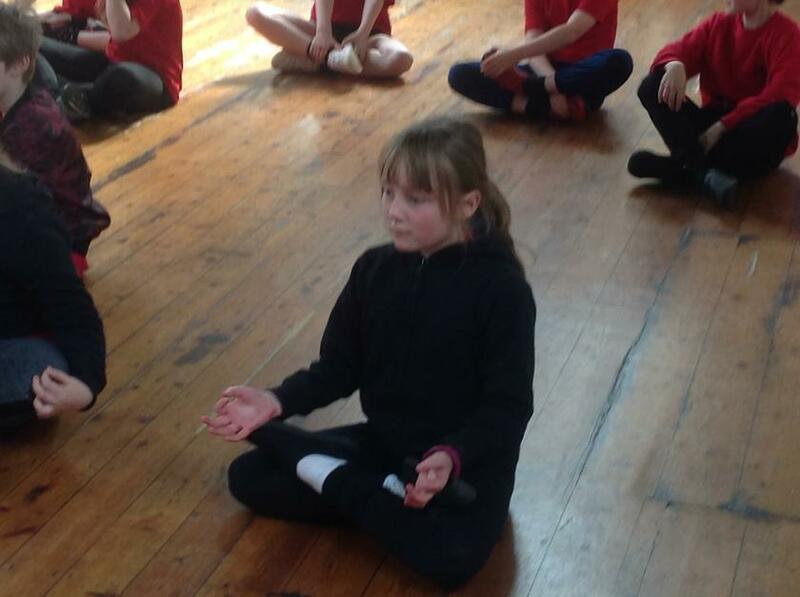 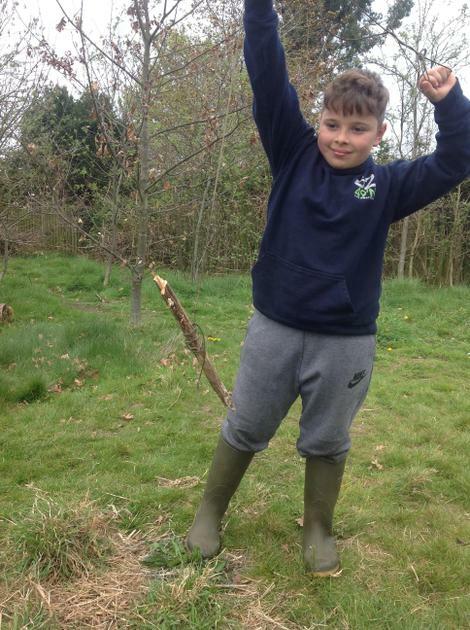 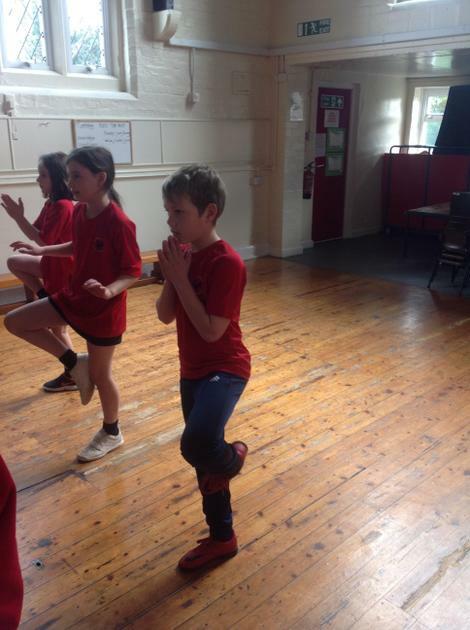 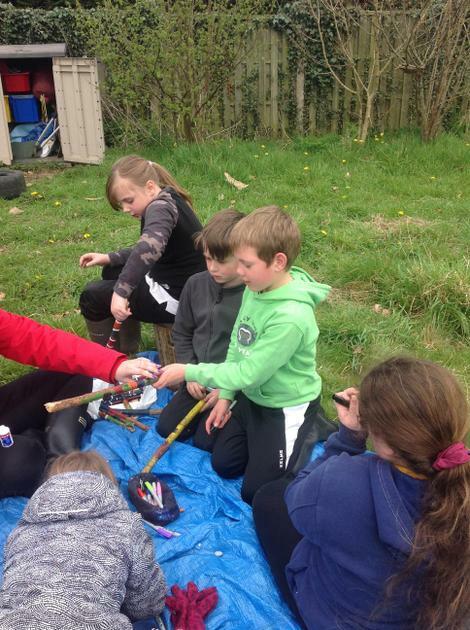 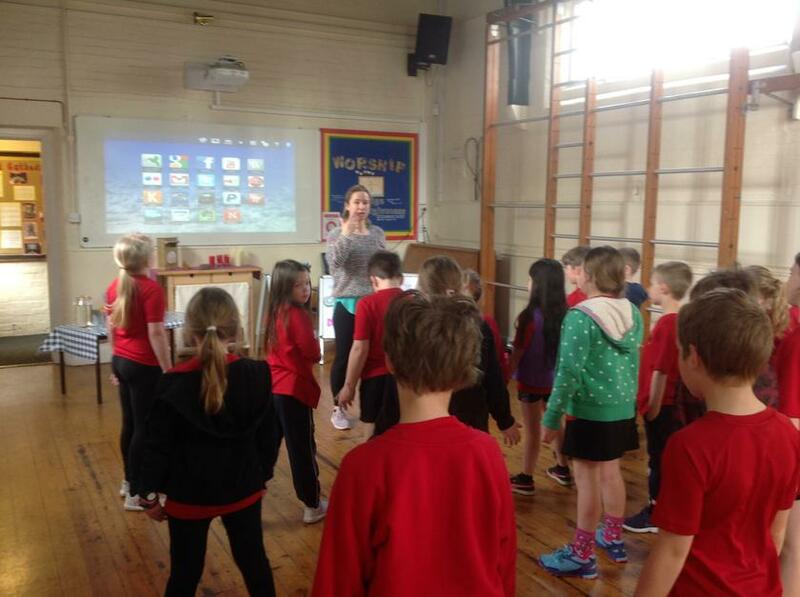 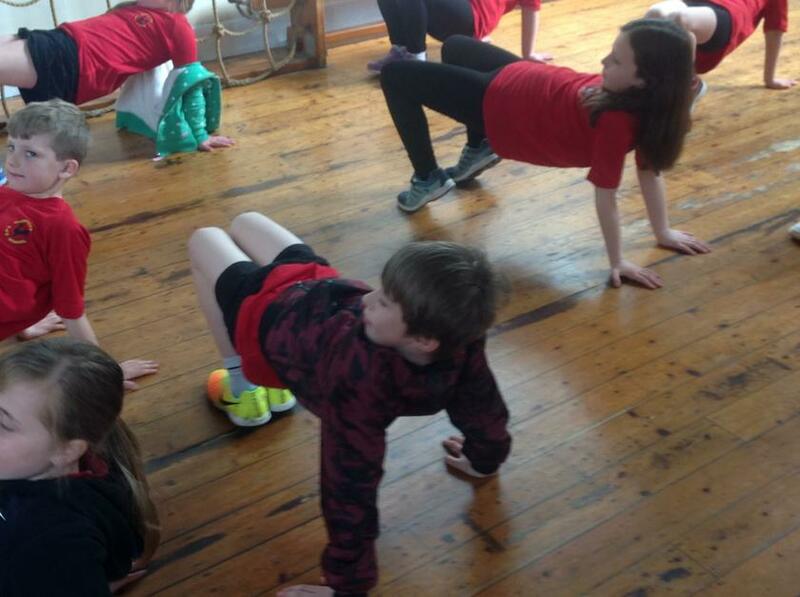 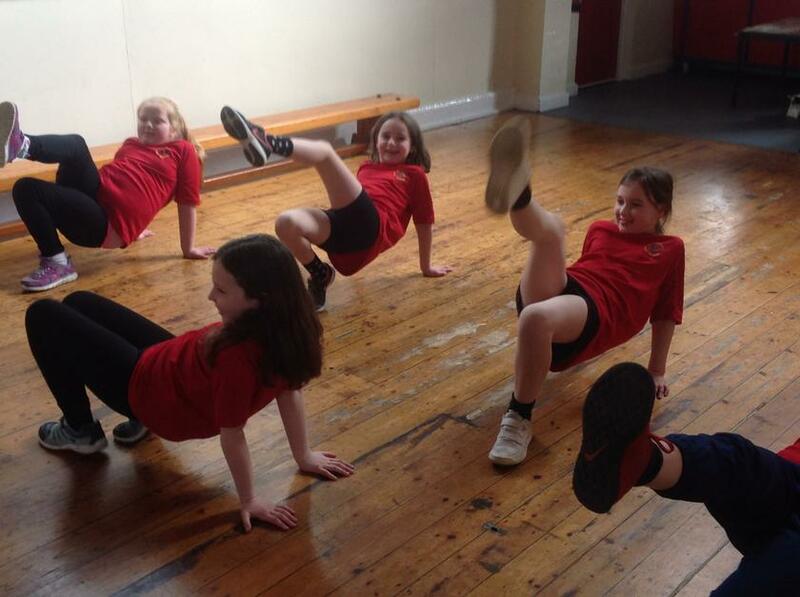 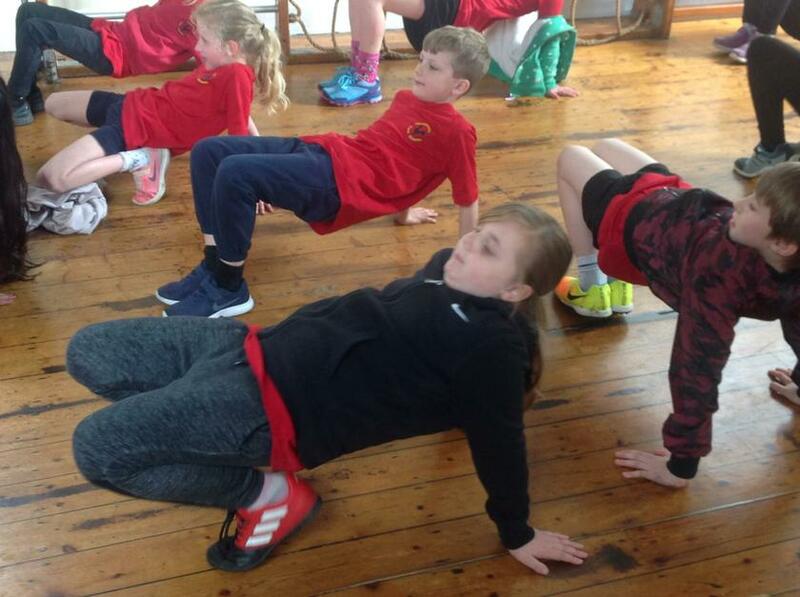 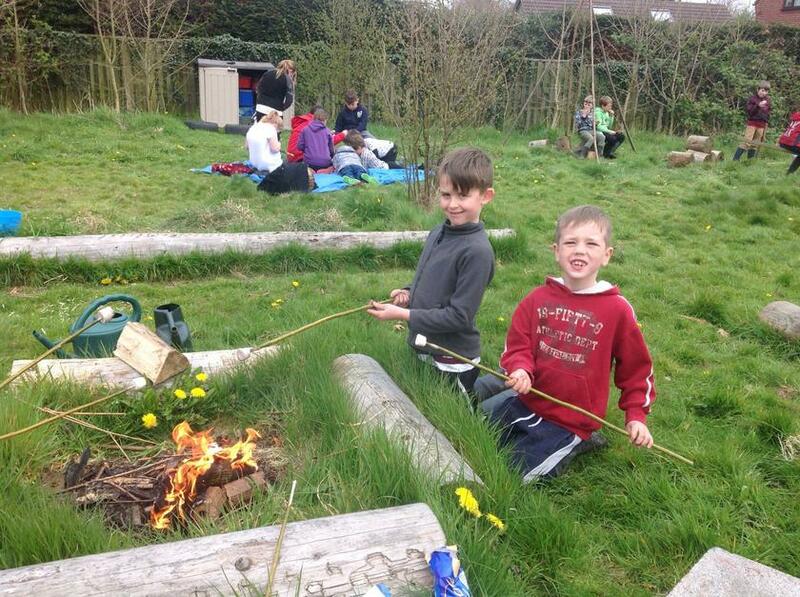 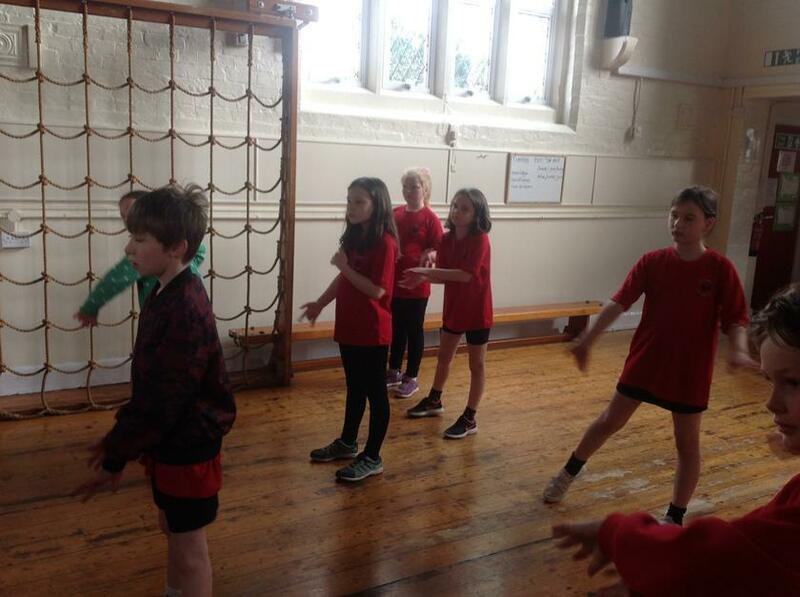 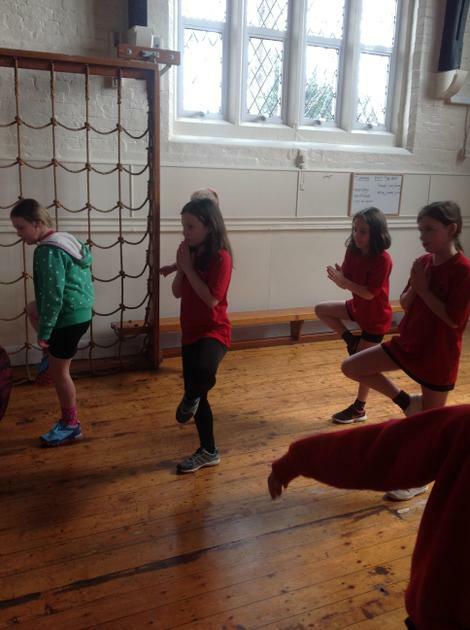 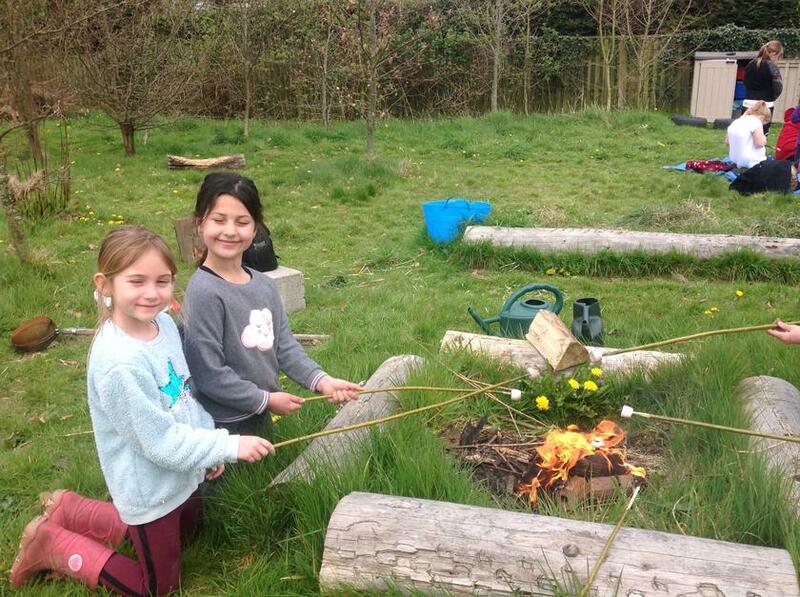 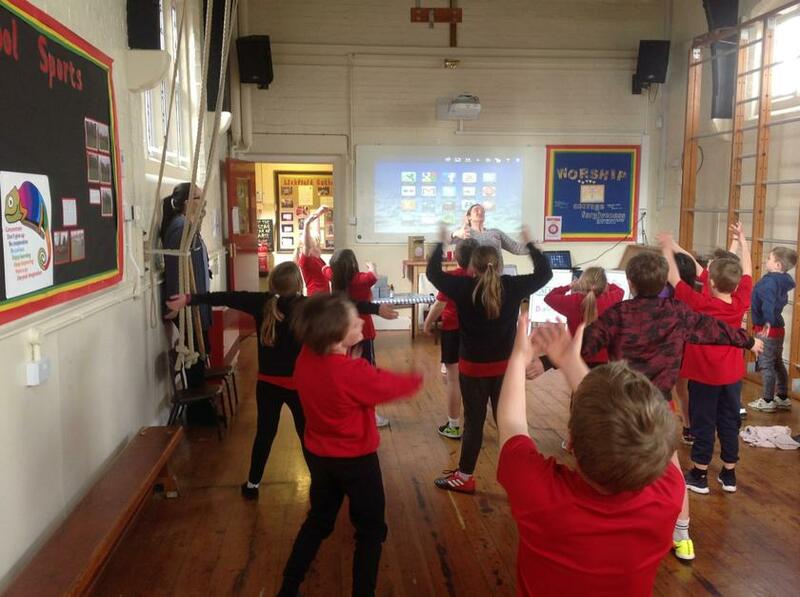 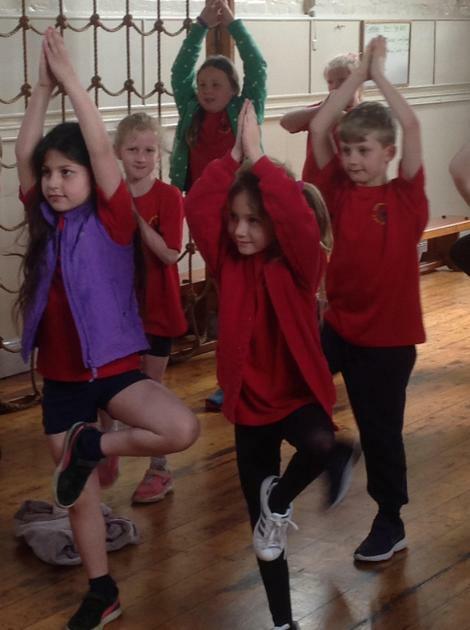 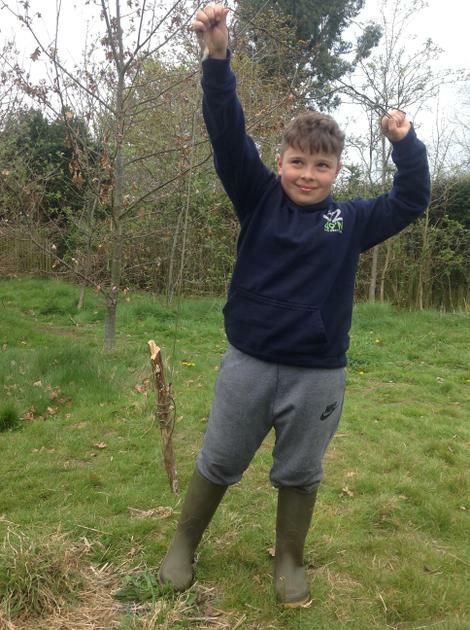 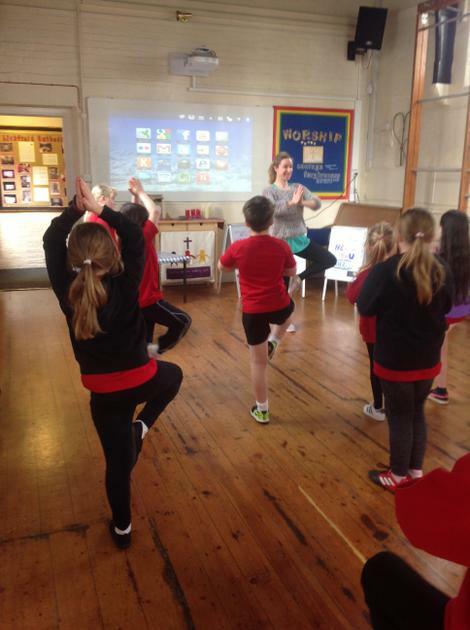 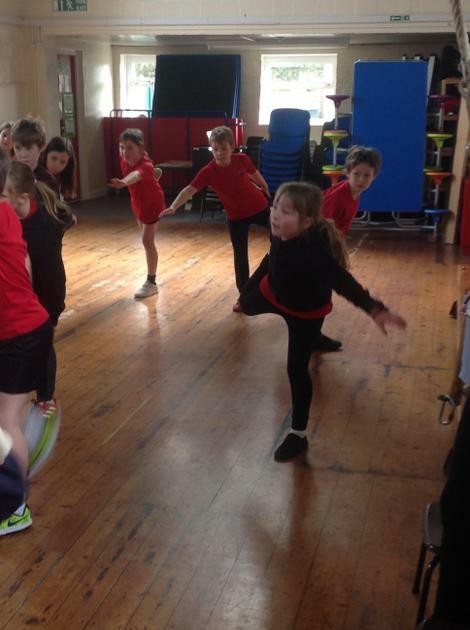 We completed activities based around breathing and meditating and learnt about the importance of keeping our mind as well as our body healthy. 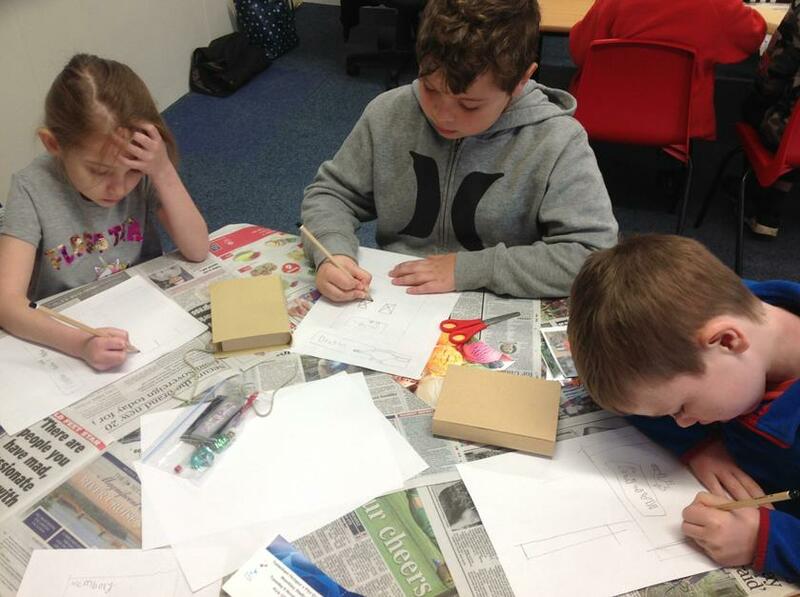 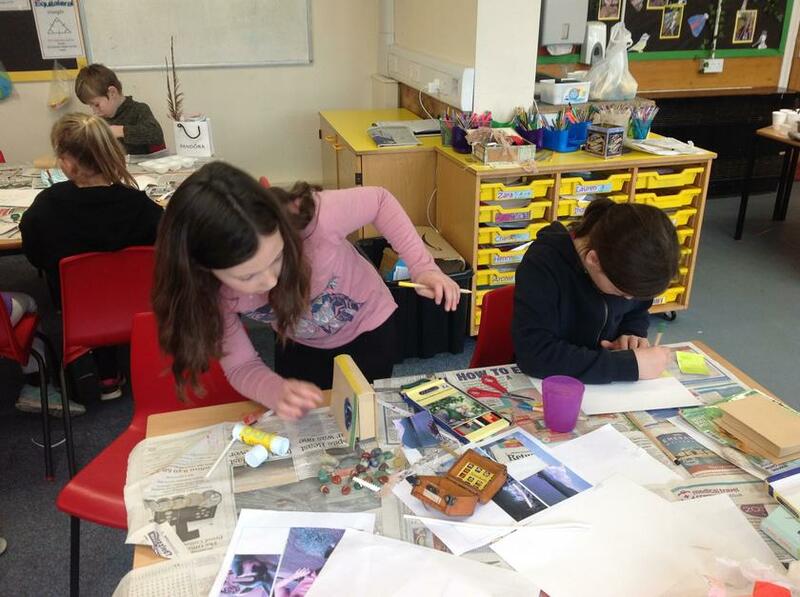 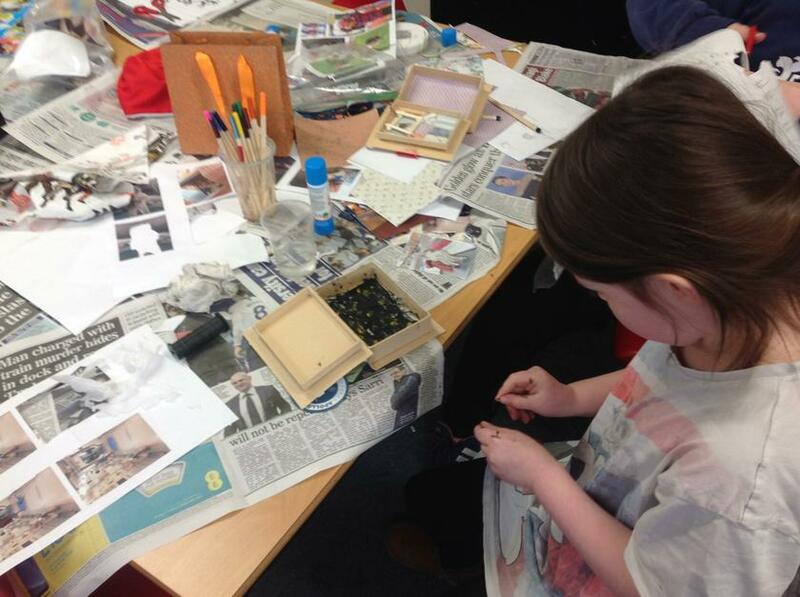 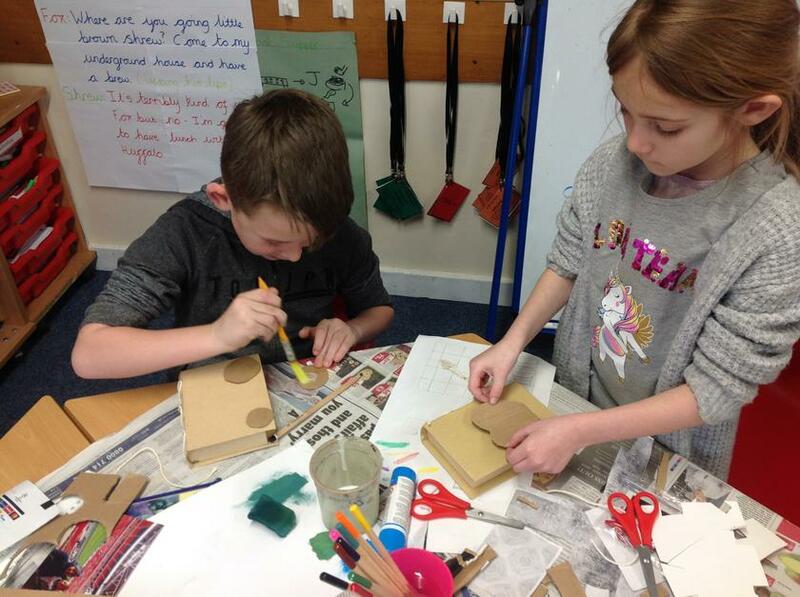 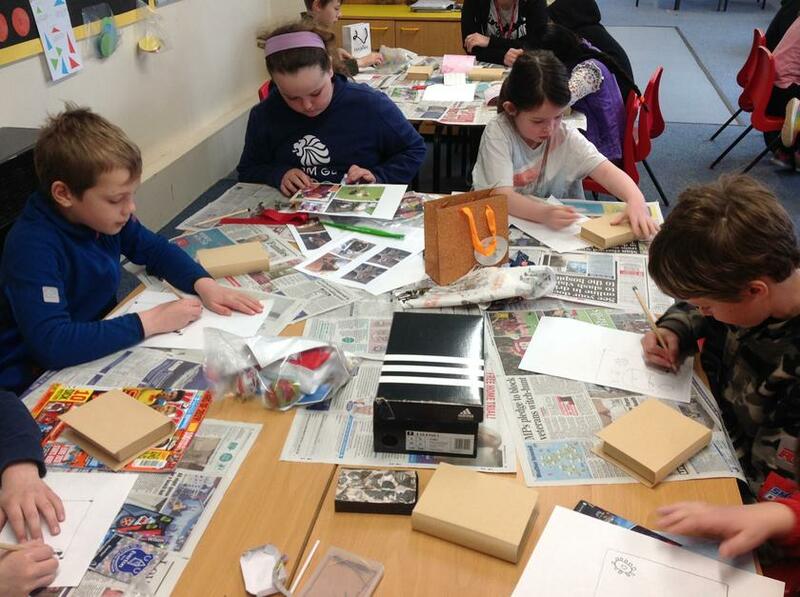 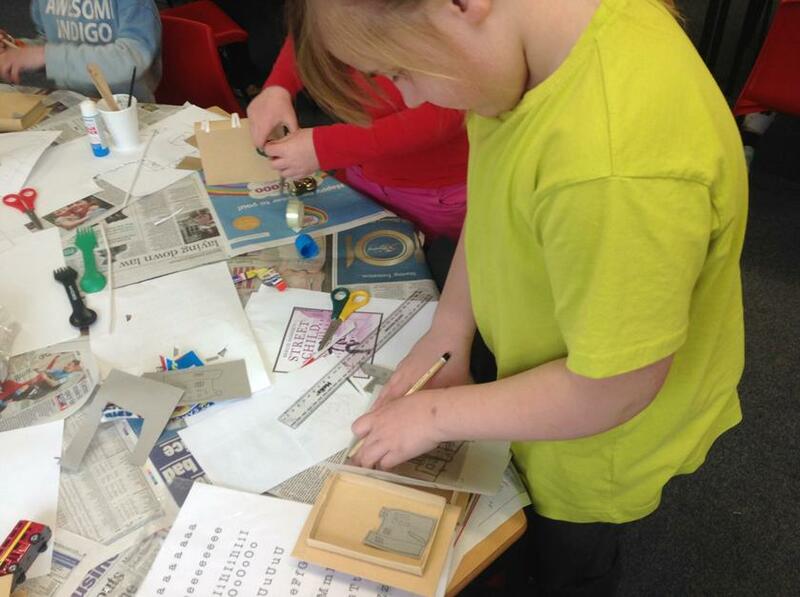 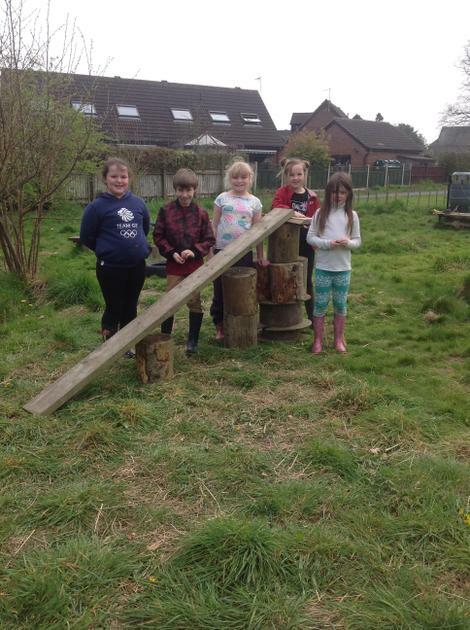 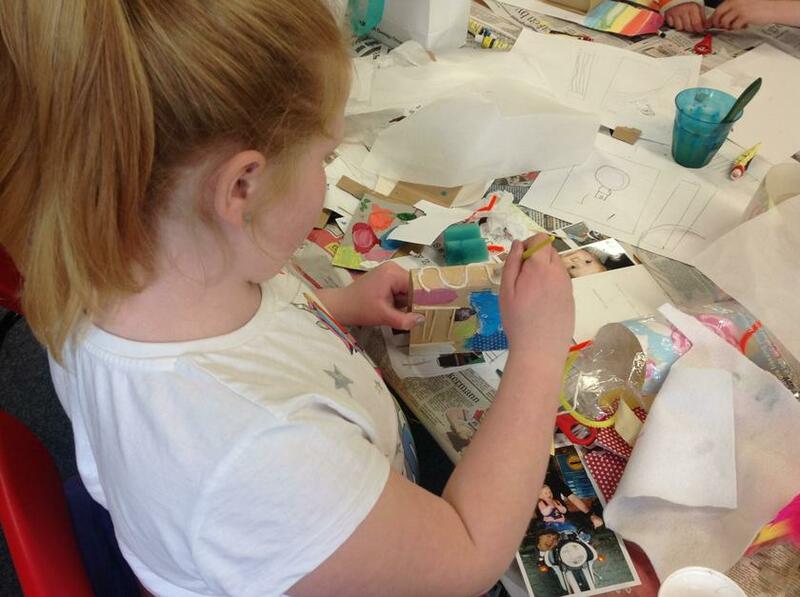 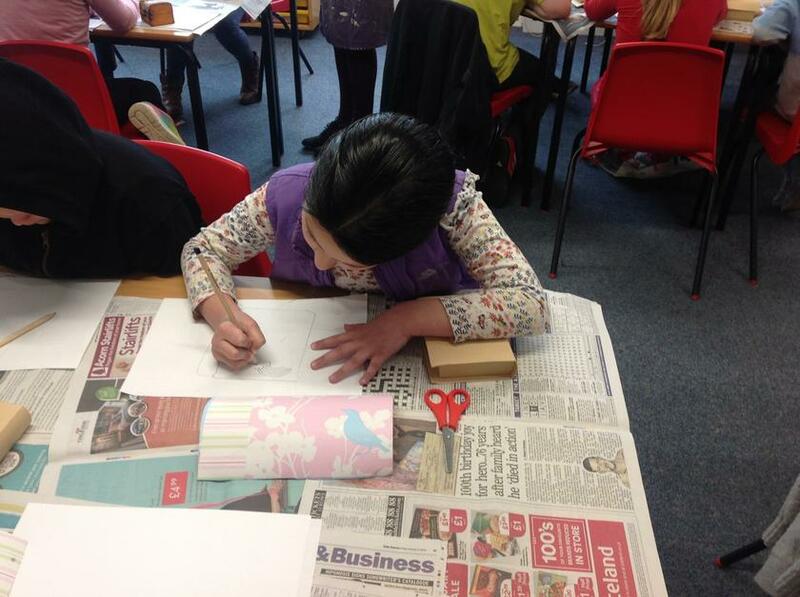 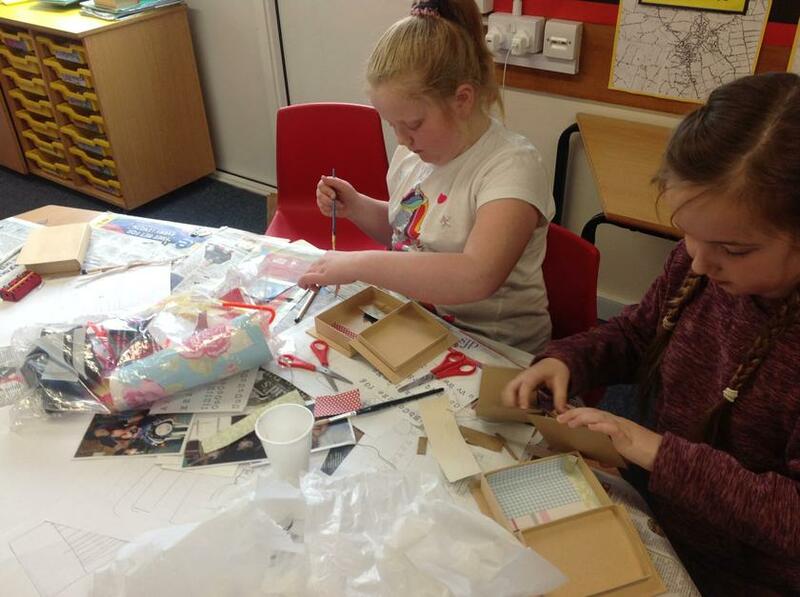 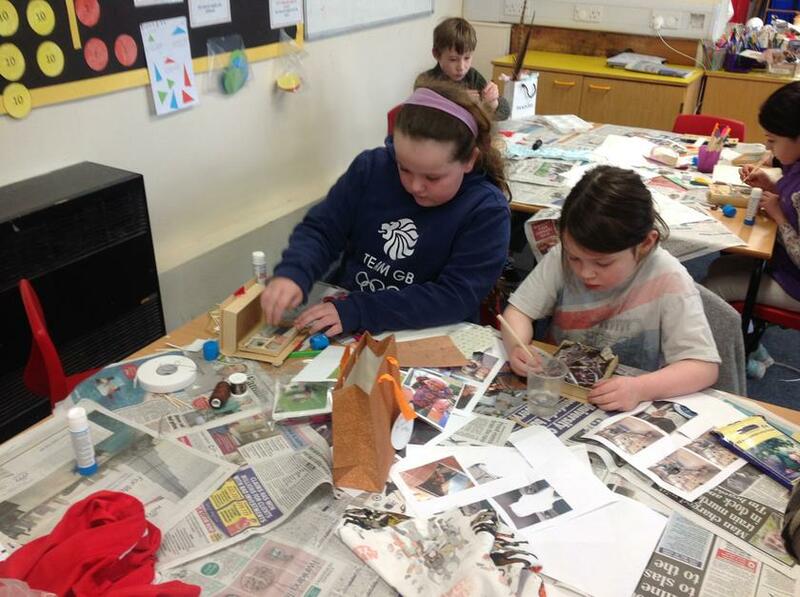 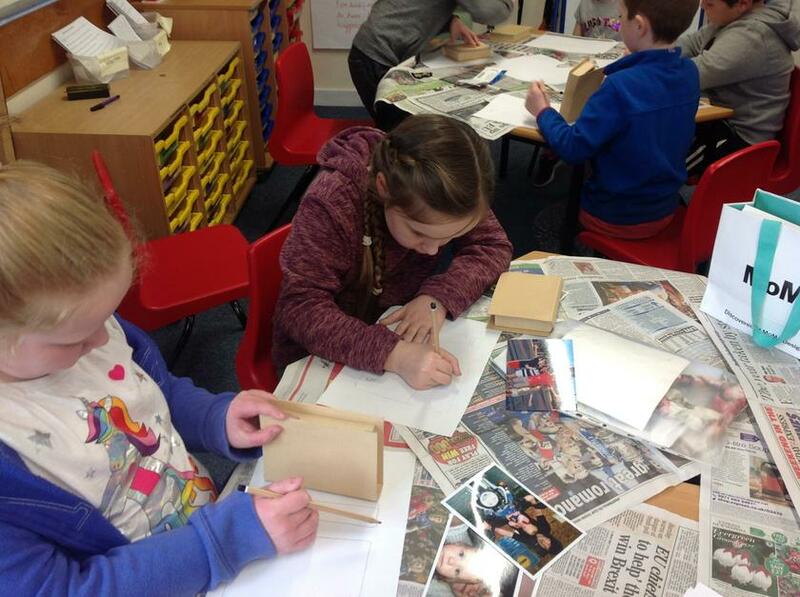 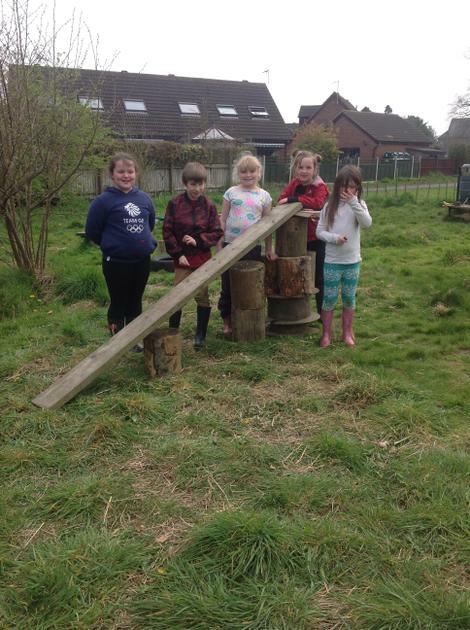 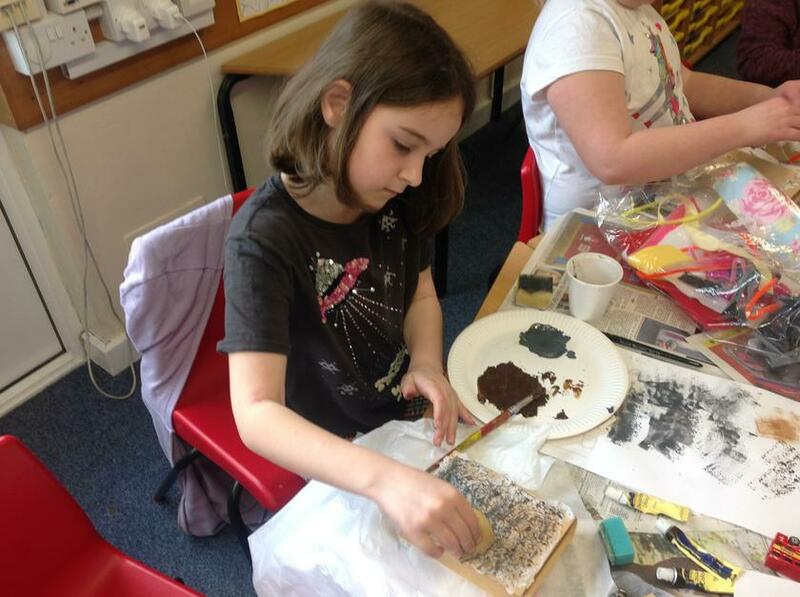 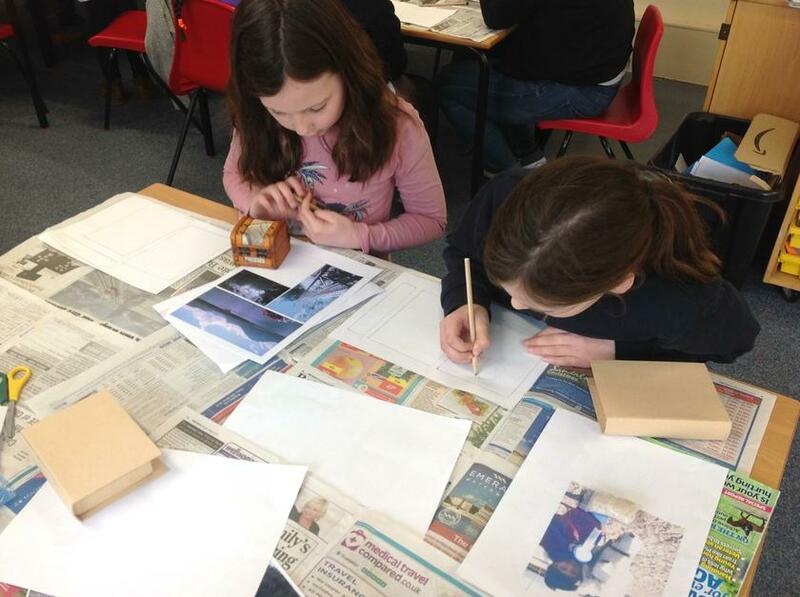 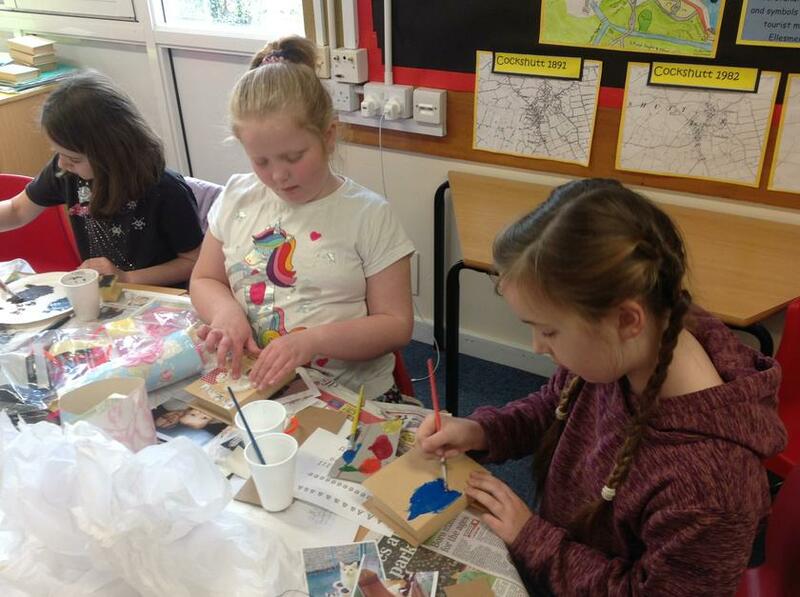 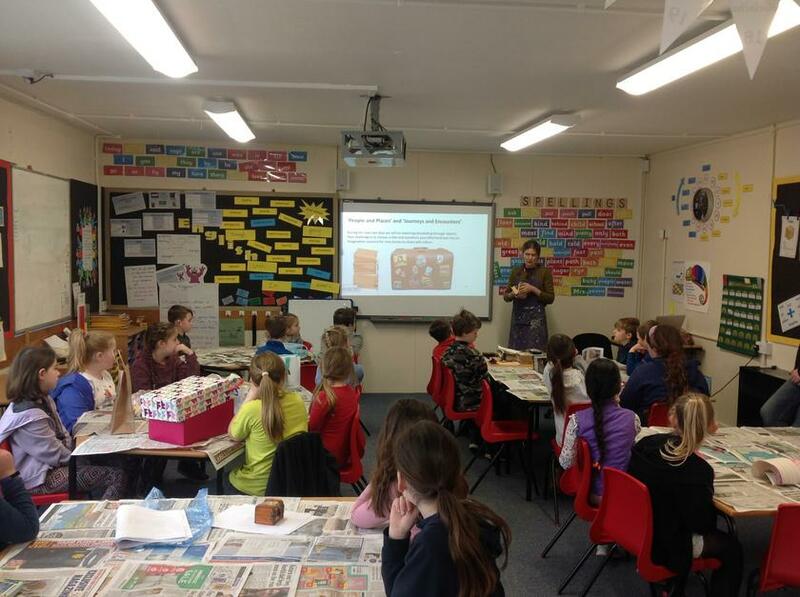 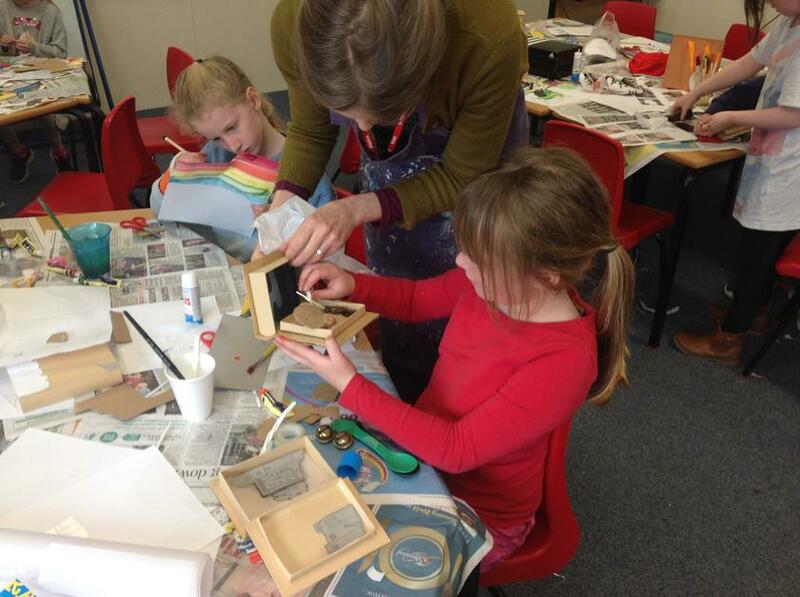 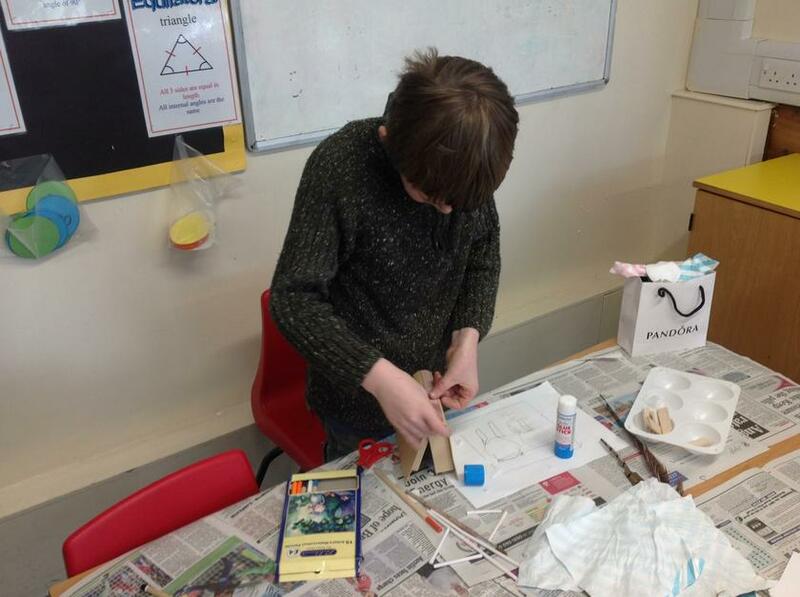 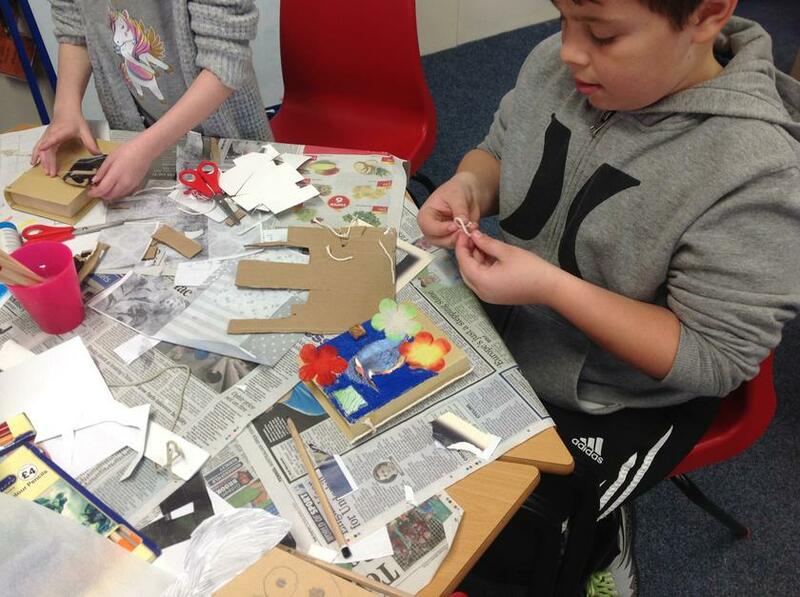 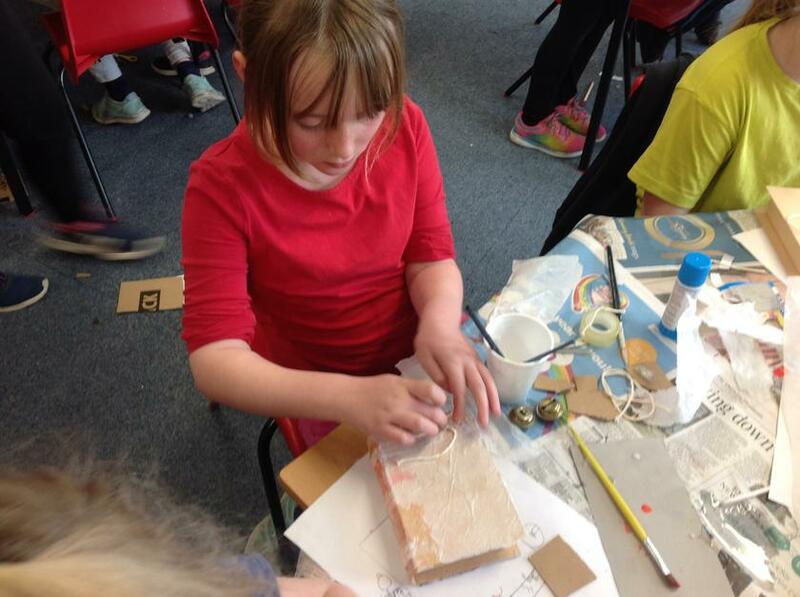 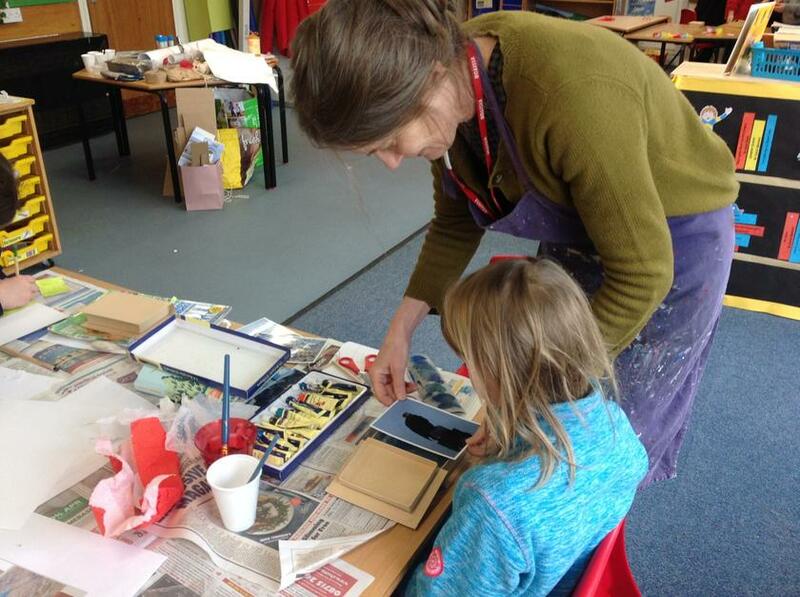 Ash class have been working with Mai Thomas from Ellesmere College to create book boxes which will be part of the Young Artist Exhibition. 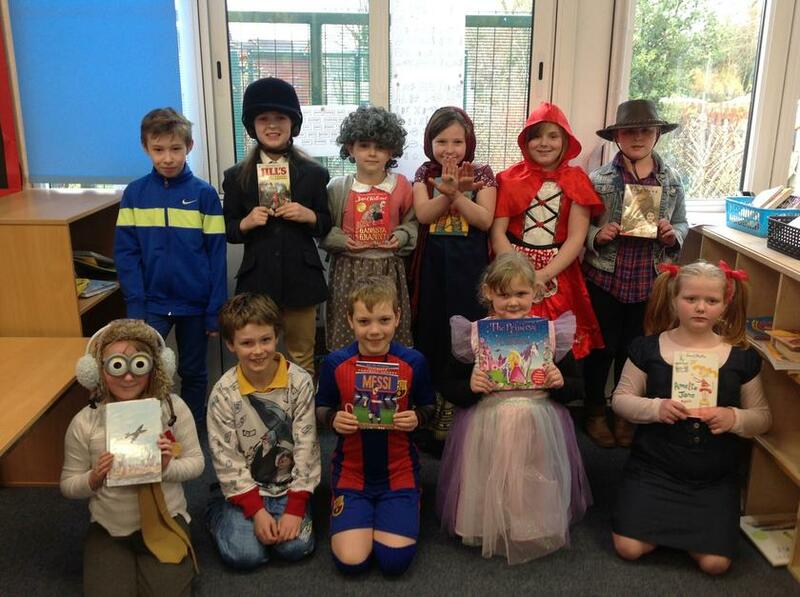 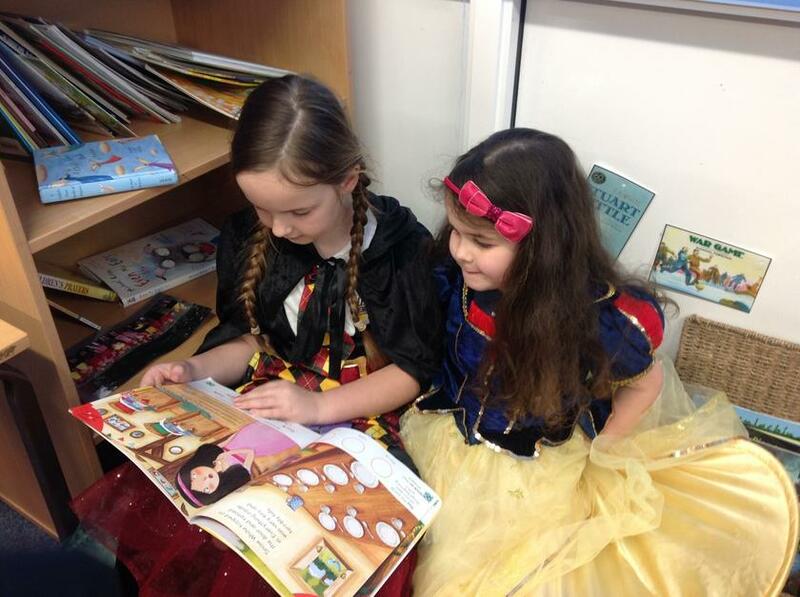 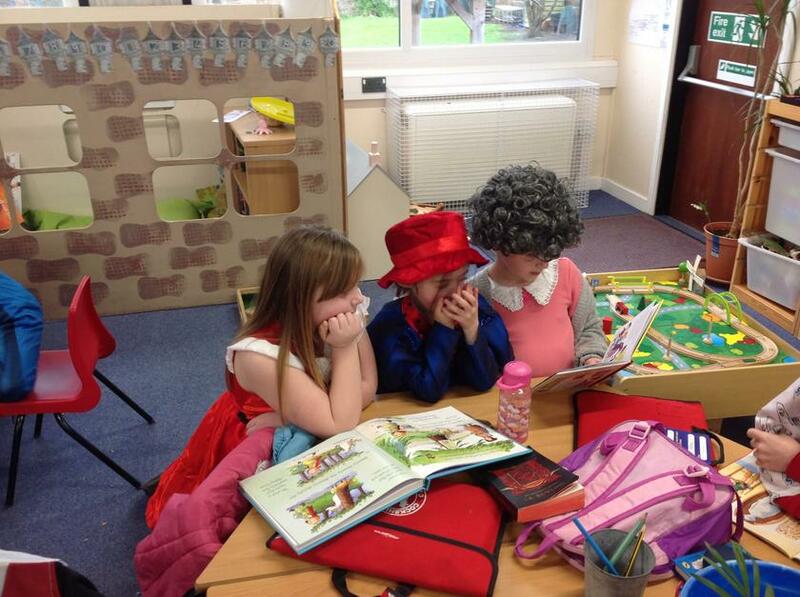 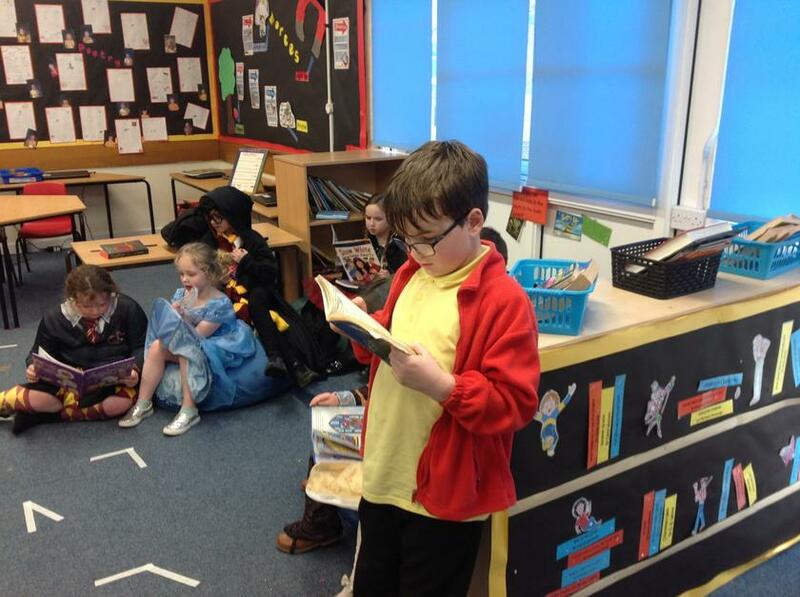 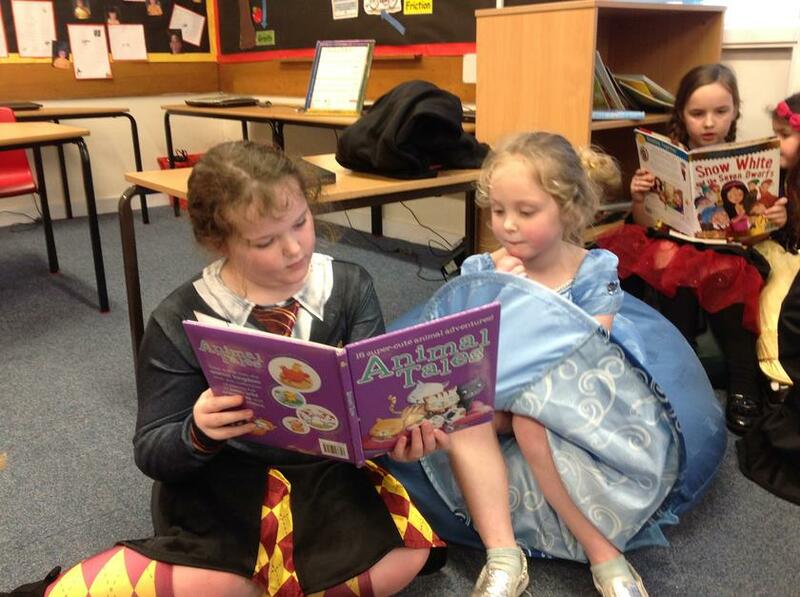 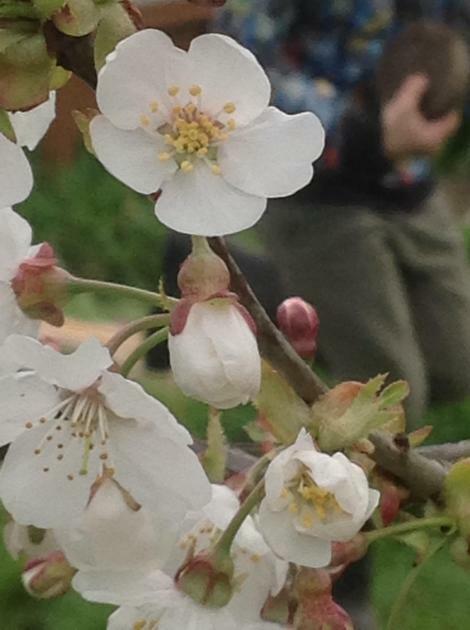 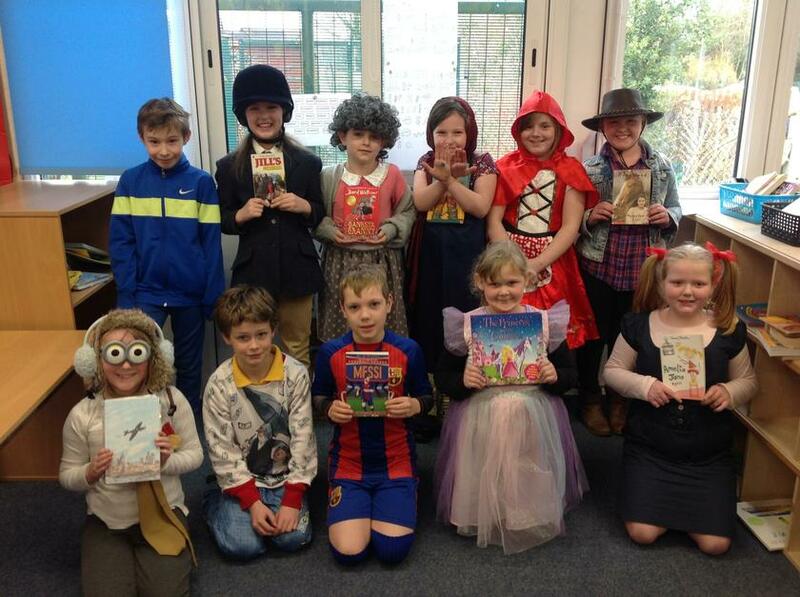 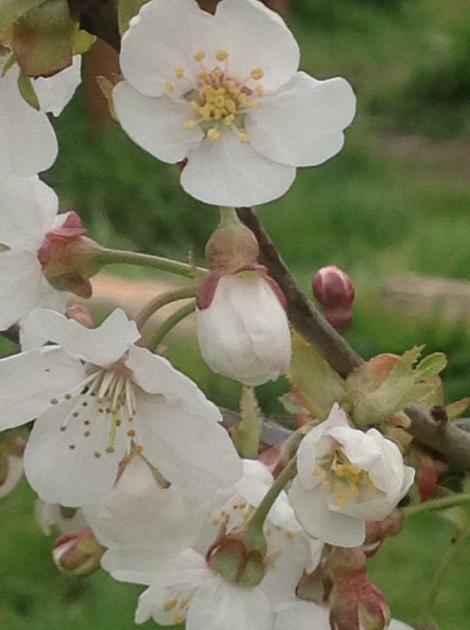 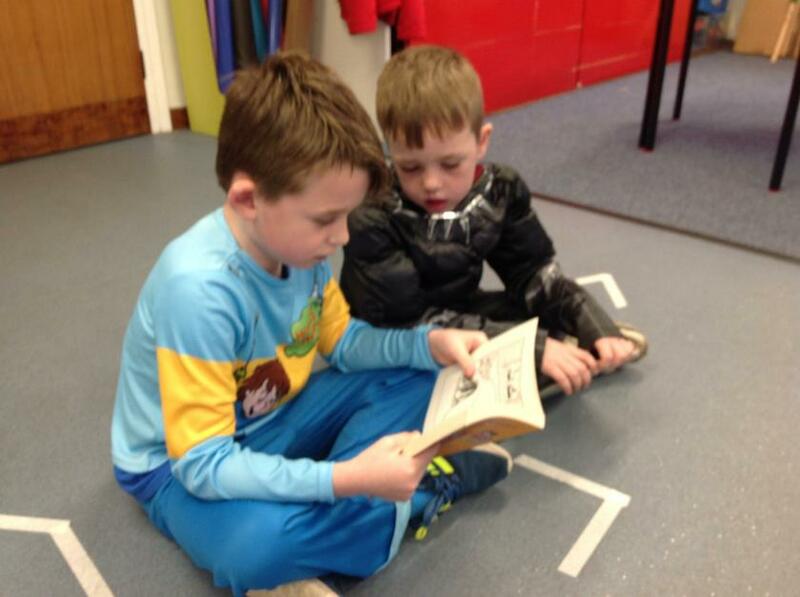 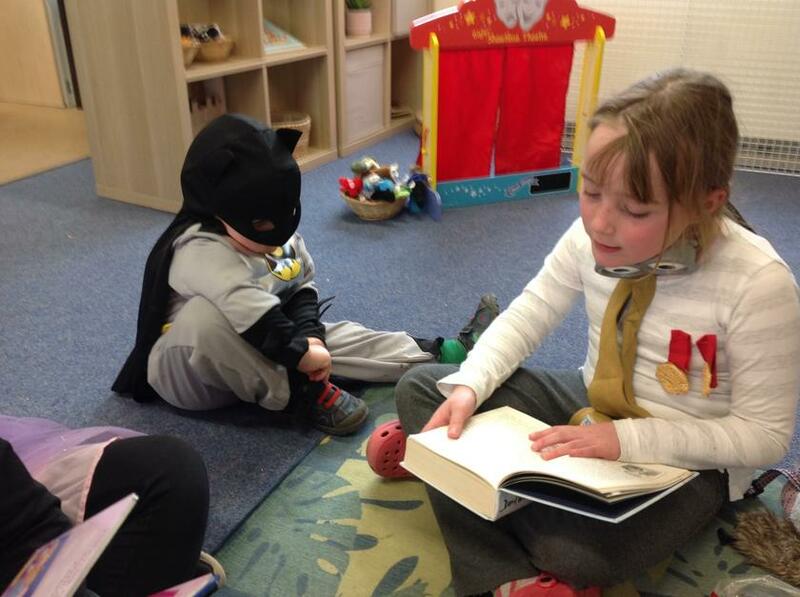 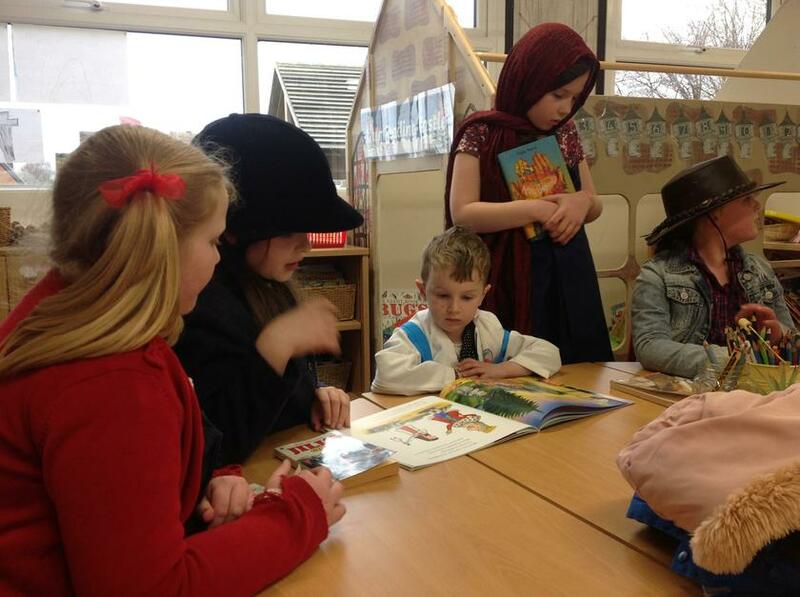 World Book Day is a fantastic opportunity to celebrate our love of reading. 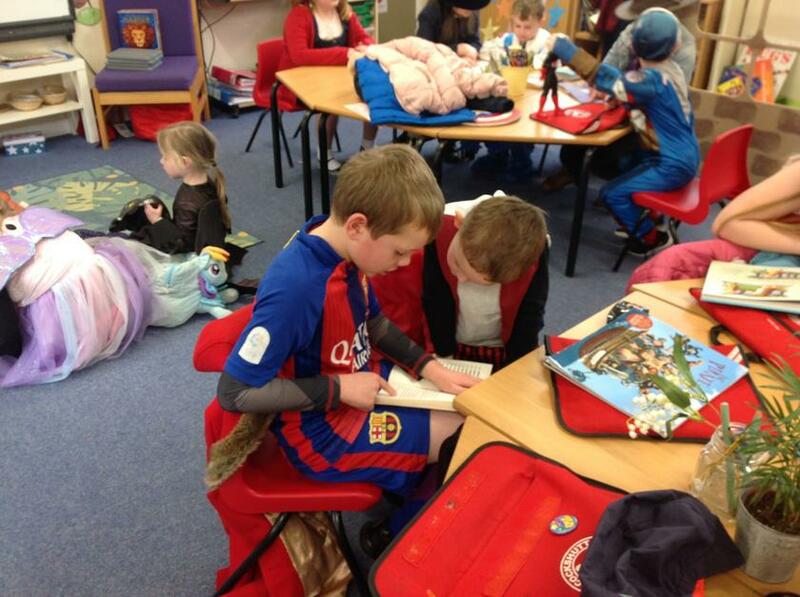 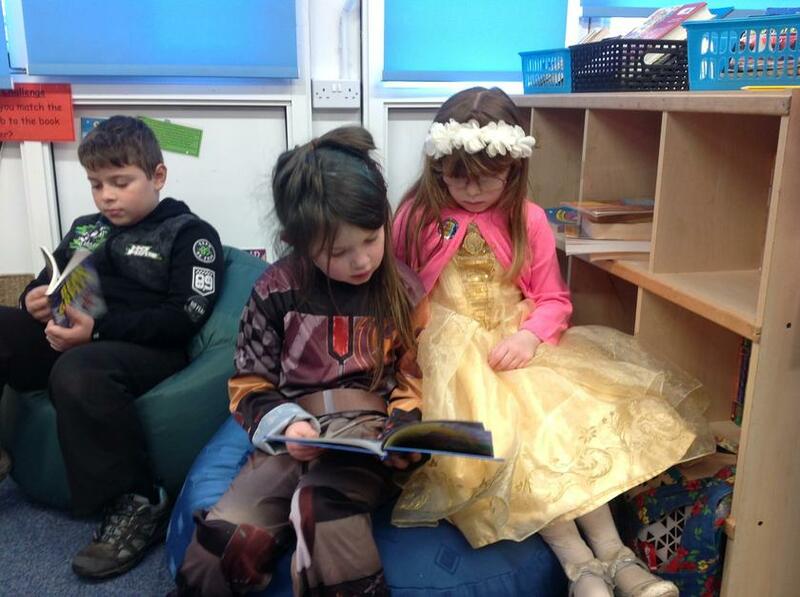 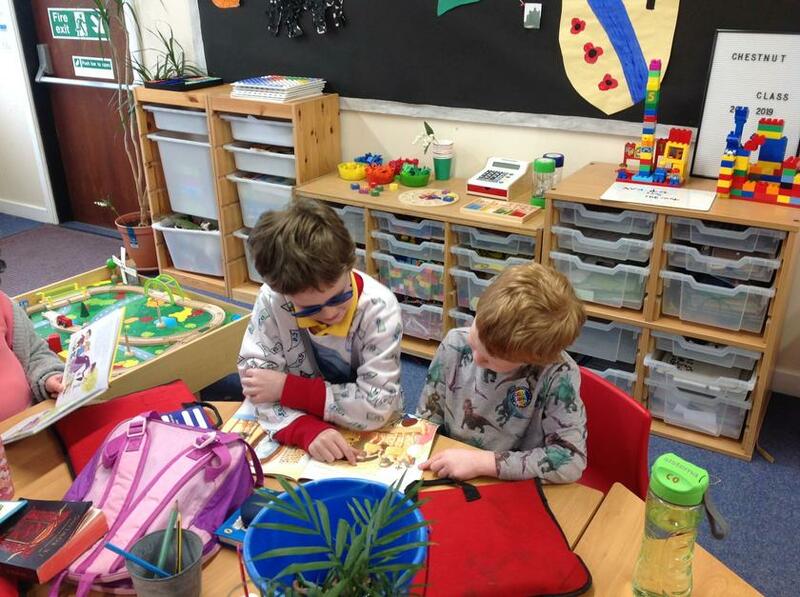 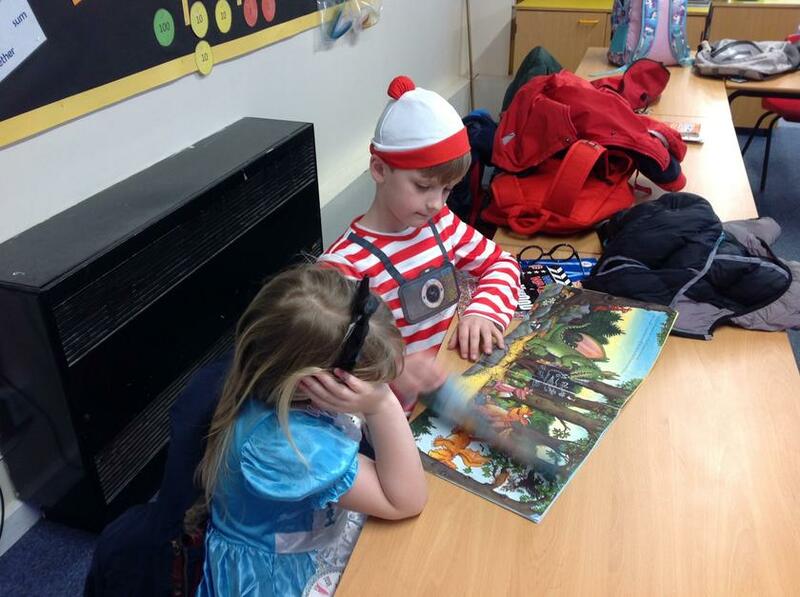 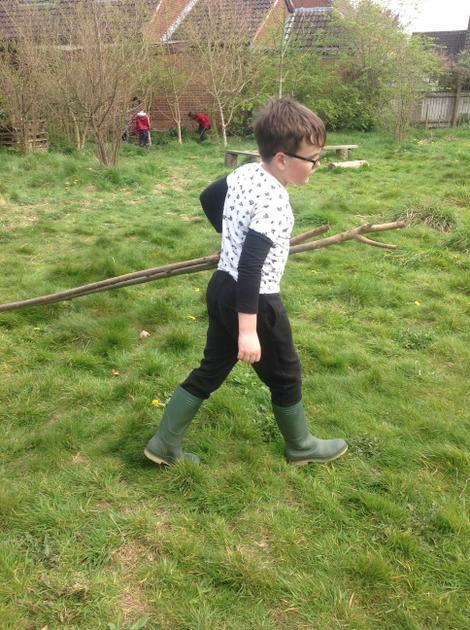 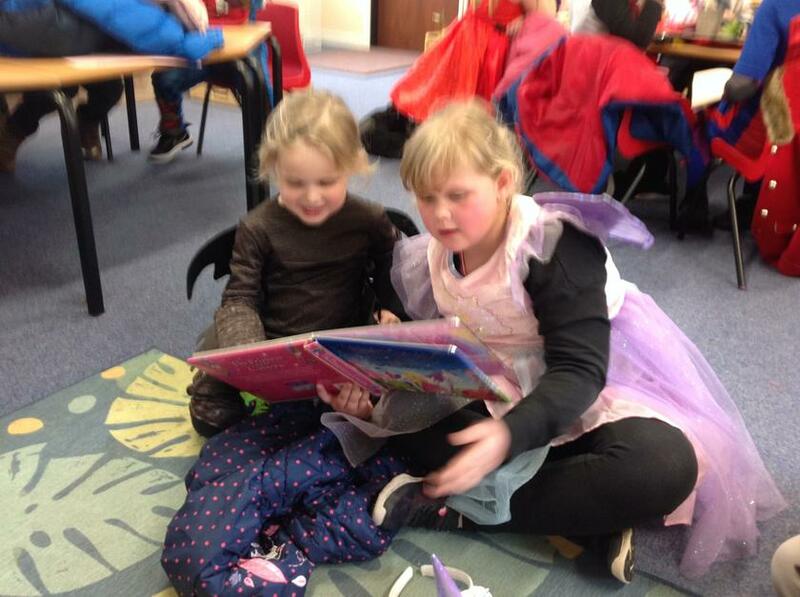 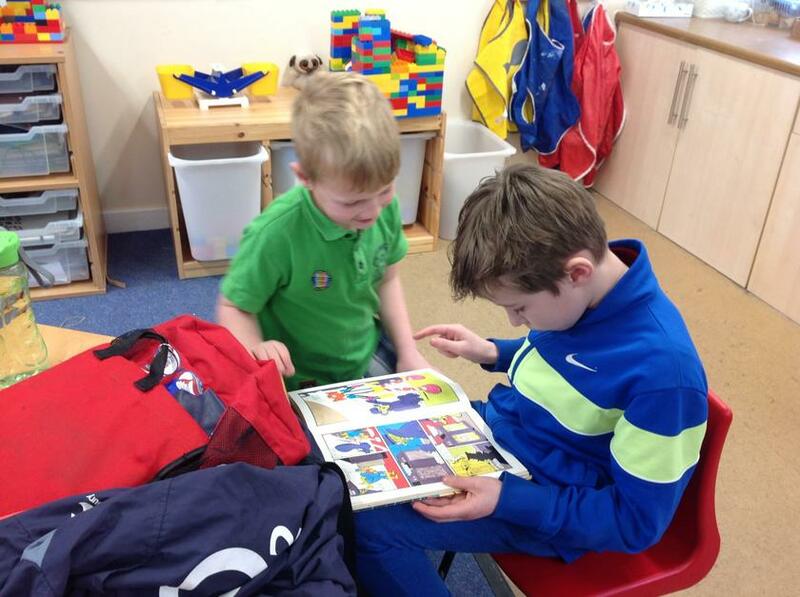 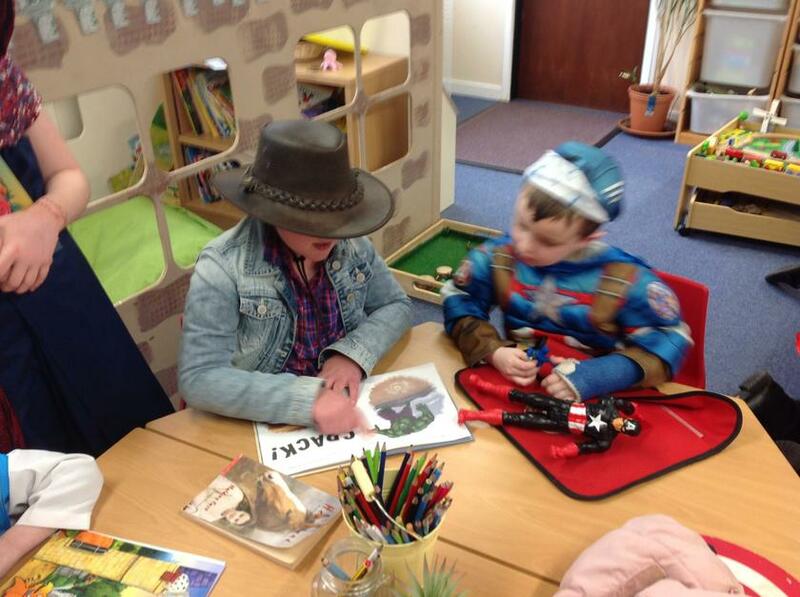 The children came to school wearing some amazing and creative costumes and spent time enjoying their favourite stories with the children from Chestnut class. 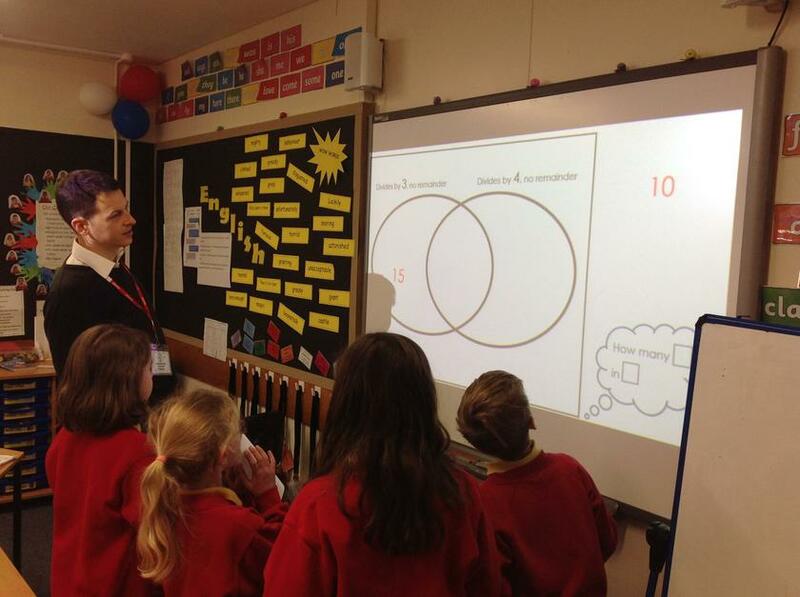 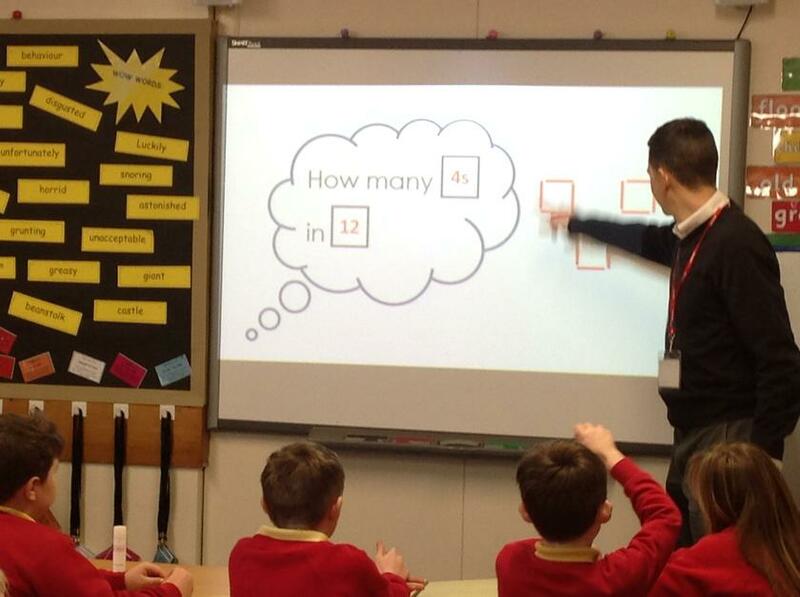 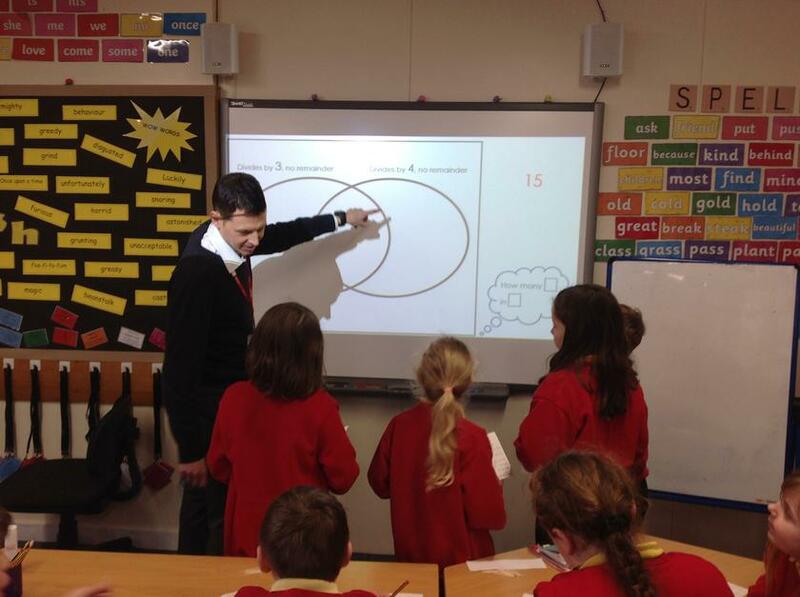 We are very lucky that once a month National Maths Trainer, Gareth Metcalfe spends time in each class showing us different ways to apply our understanding in Maths. 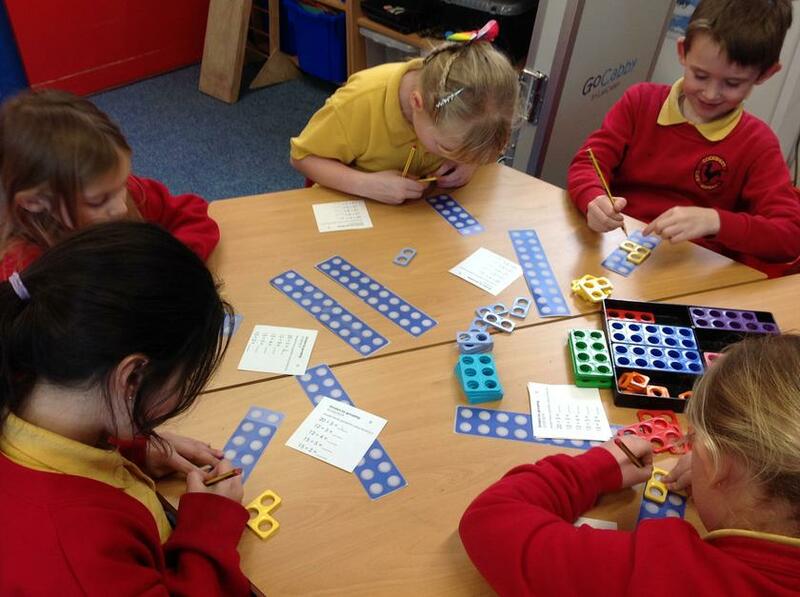 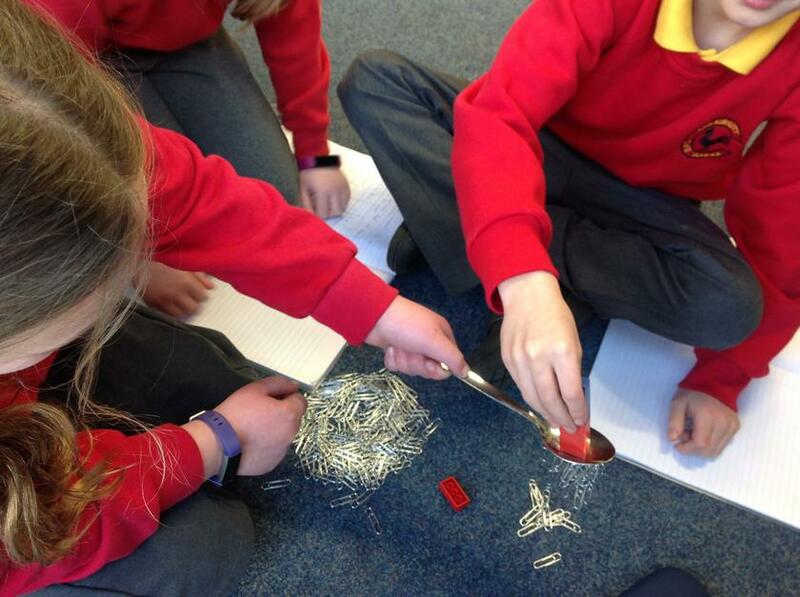 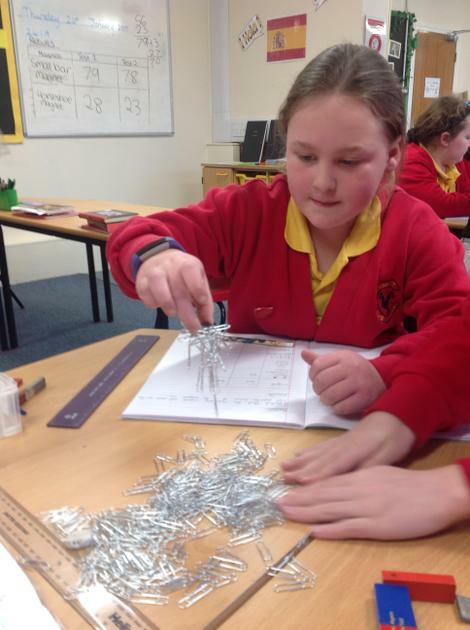 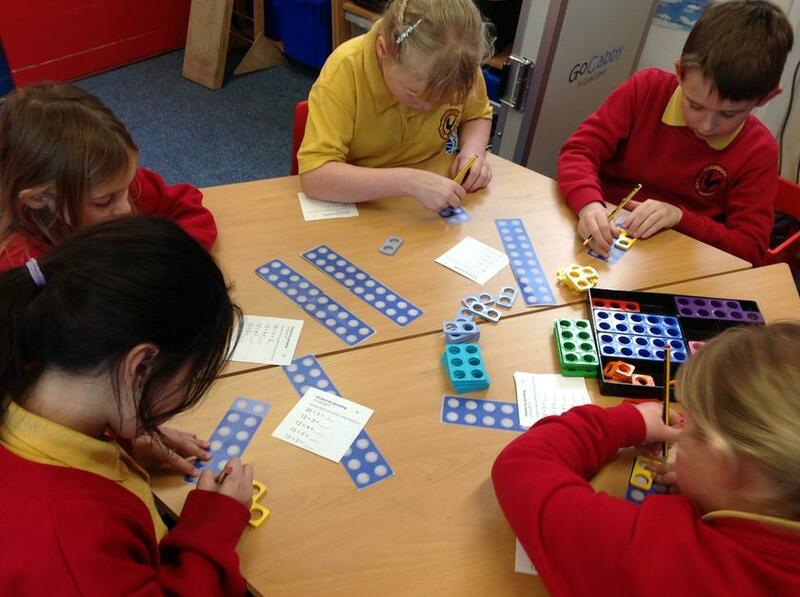 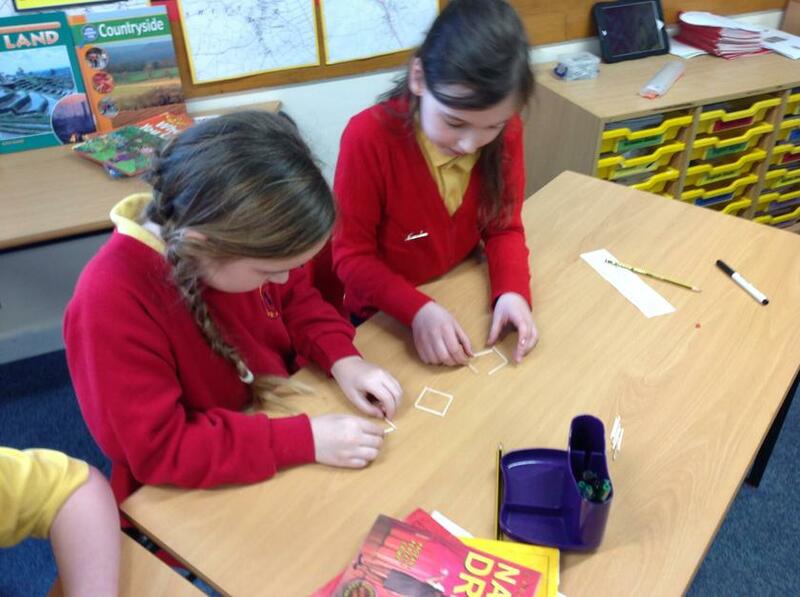 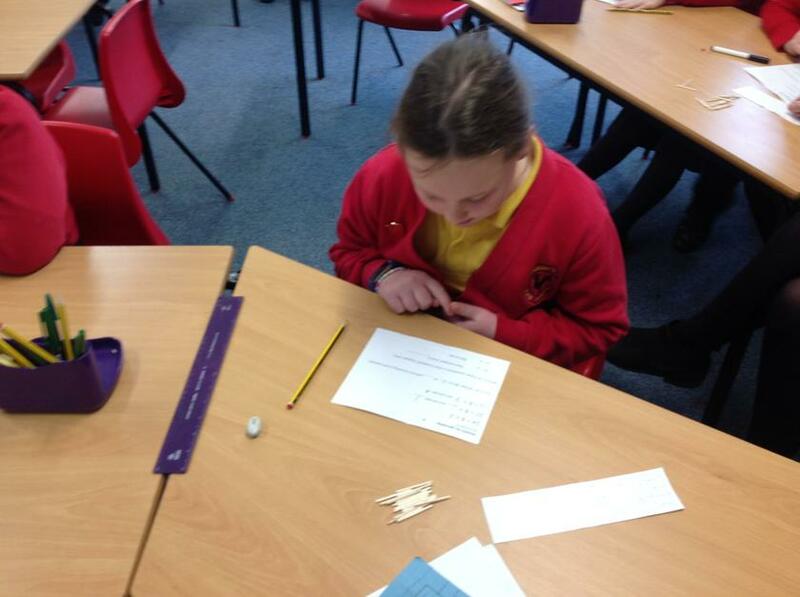 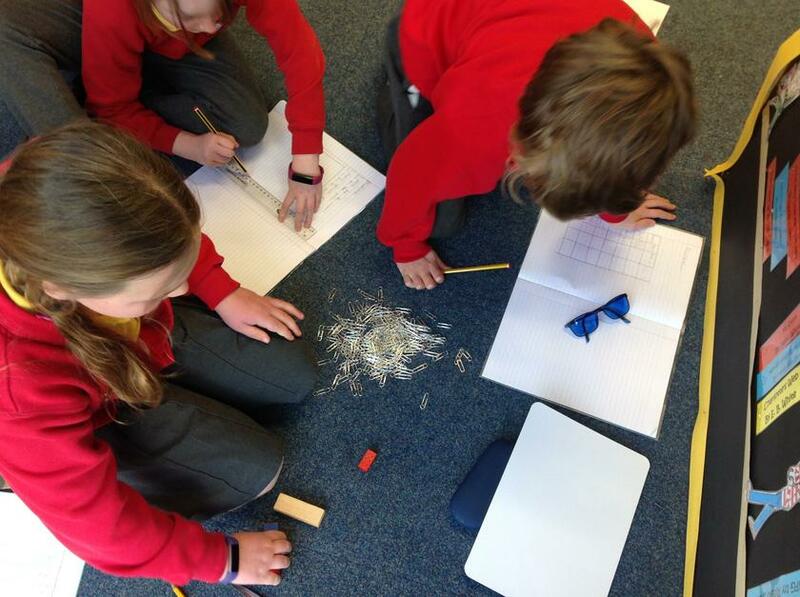 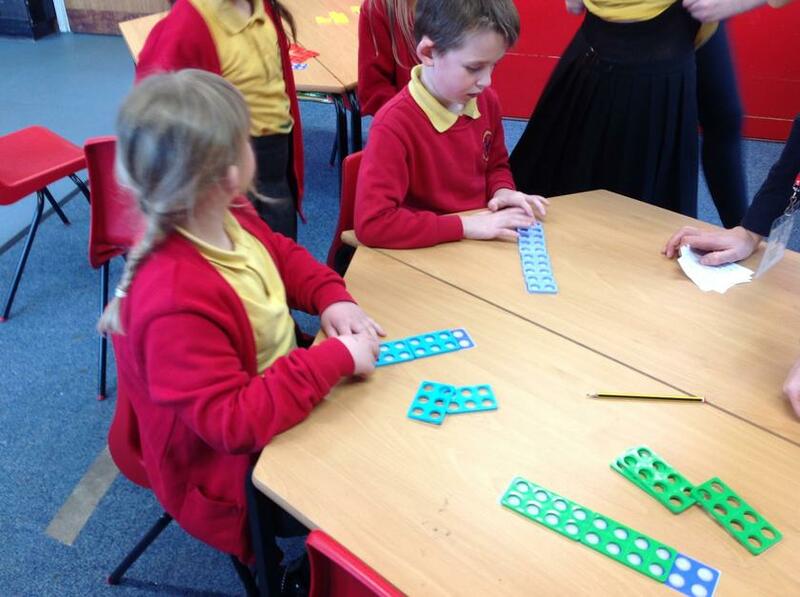 This month we used matchsticks and numicon to develop our understanding in division. 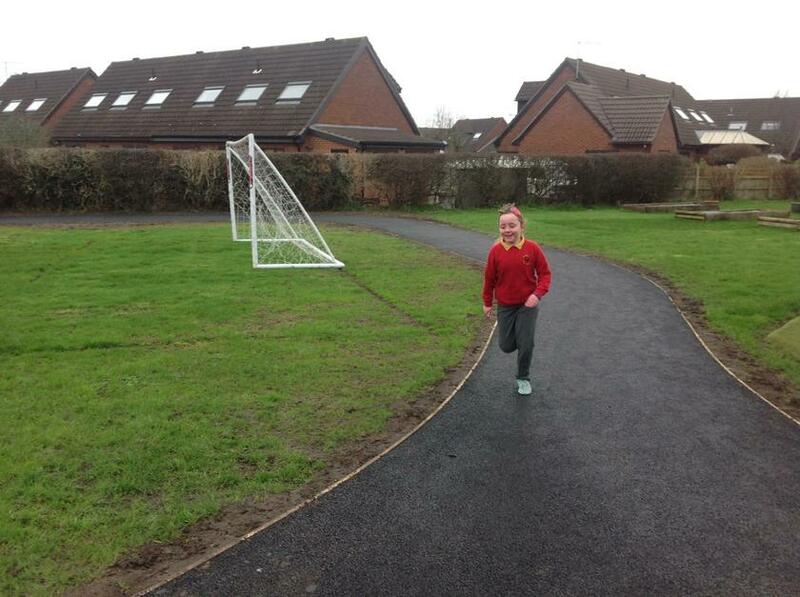 After watching the daily mile track take shape over the past few weeks we can now take full advantage of this wonderful resource. 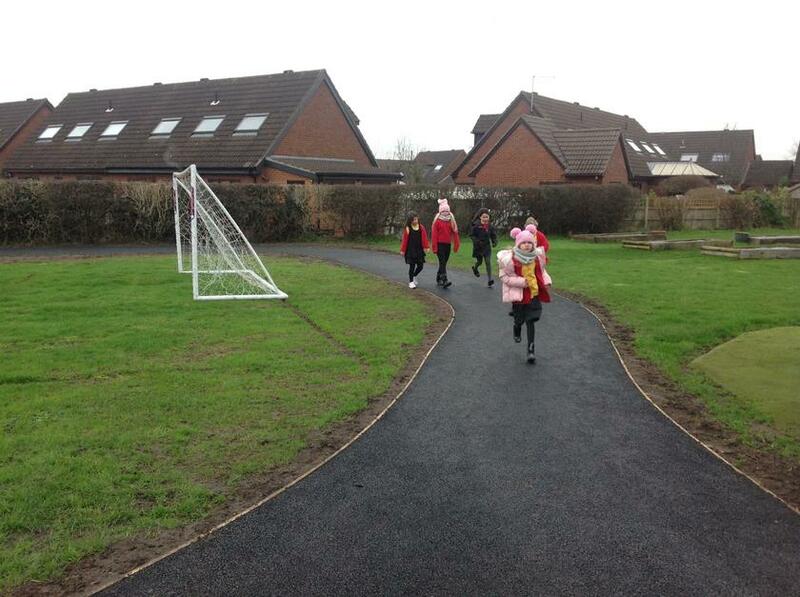 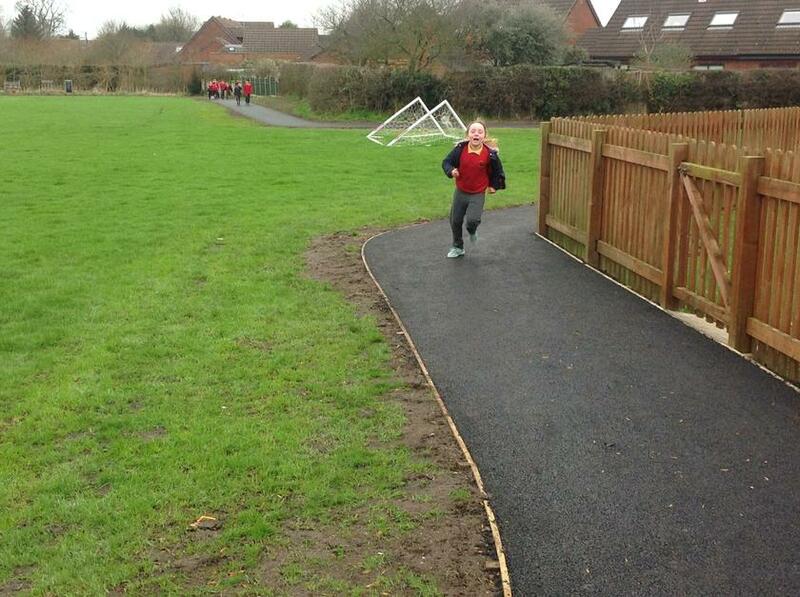 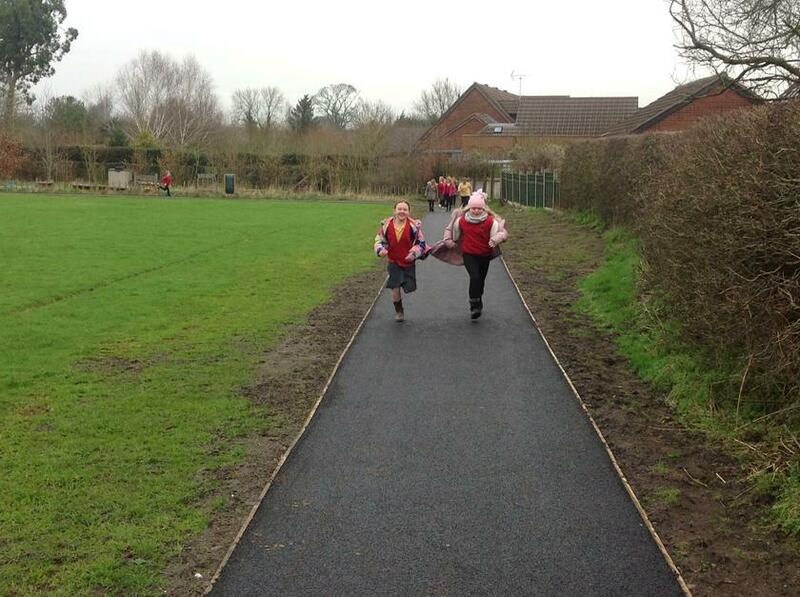 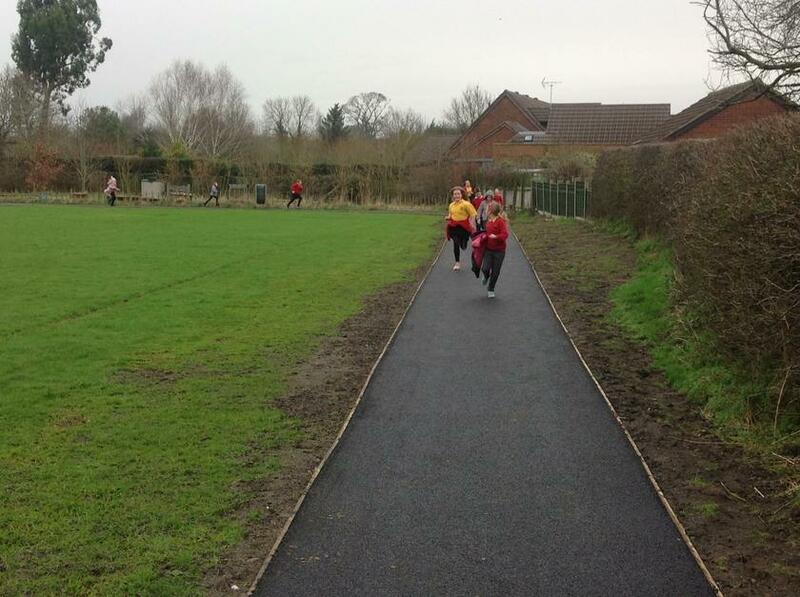 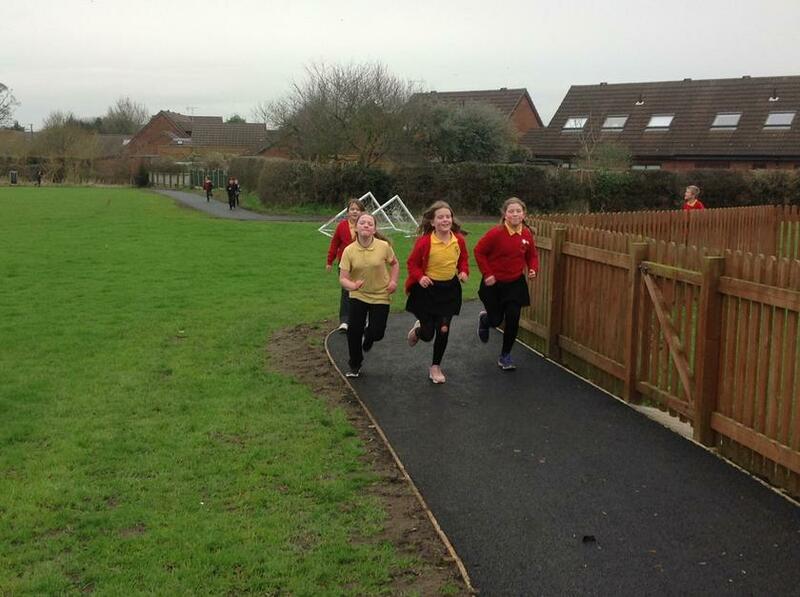 Everyone was extremely excited and enthusiastic to complete their mile around the track. 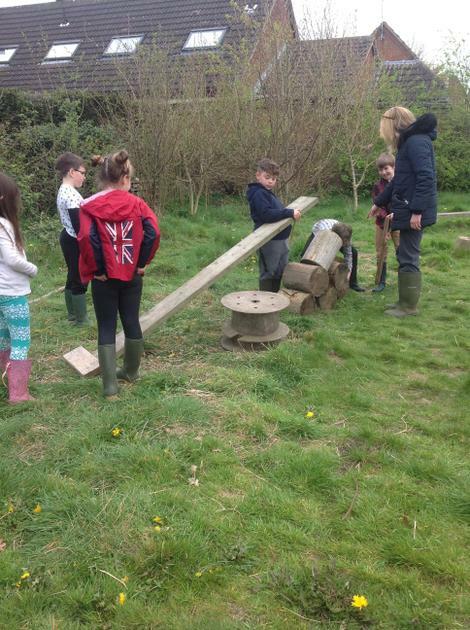 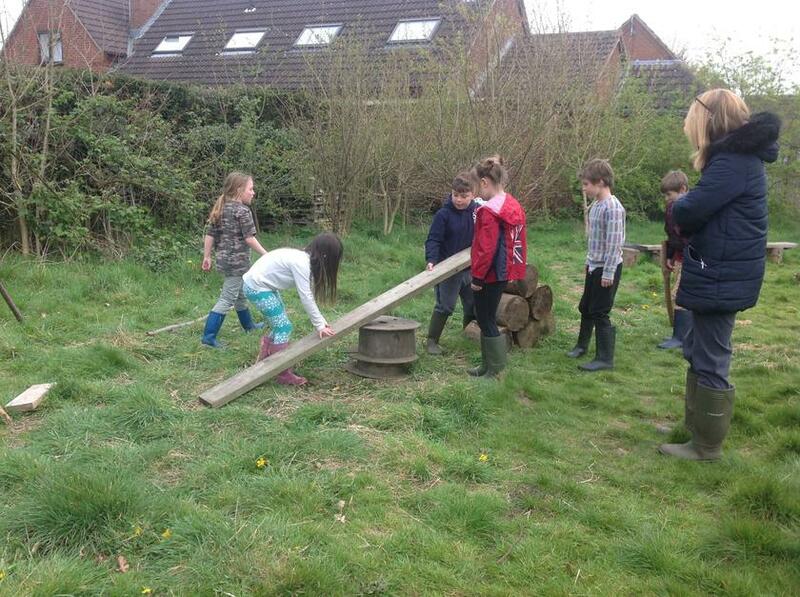 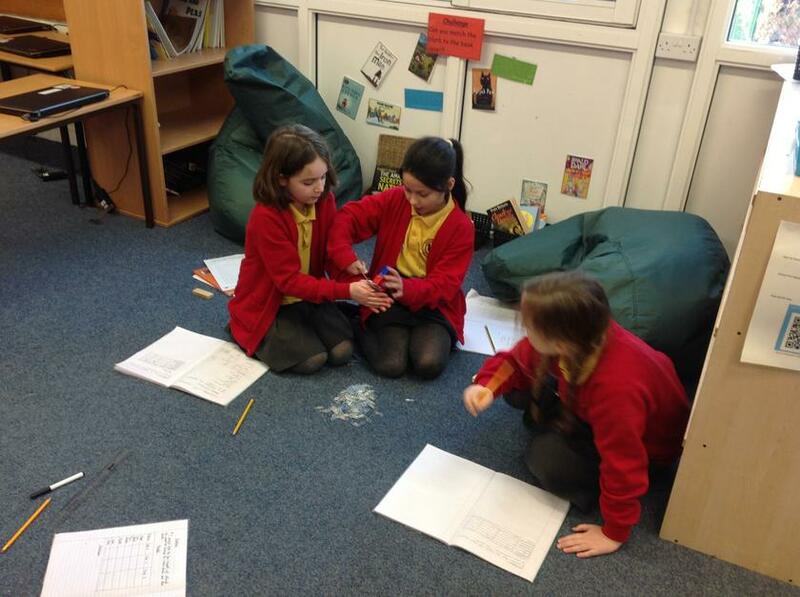 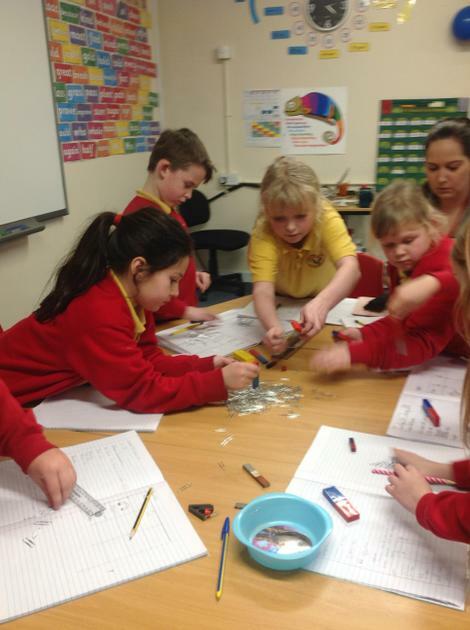 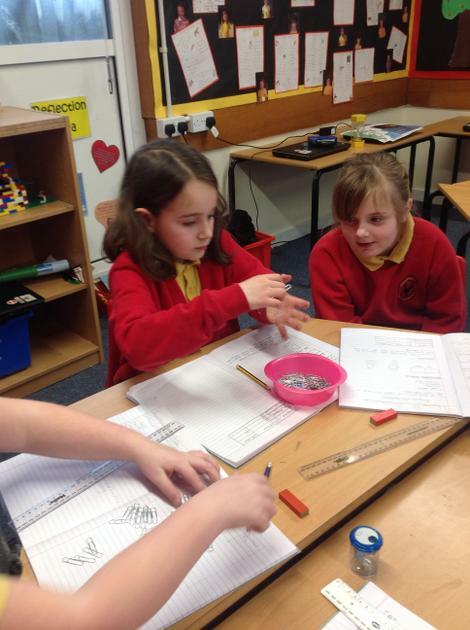 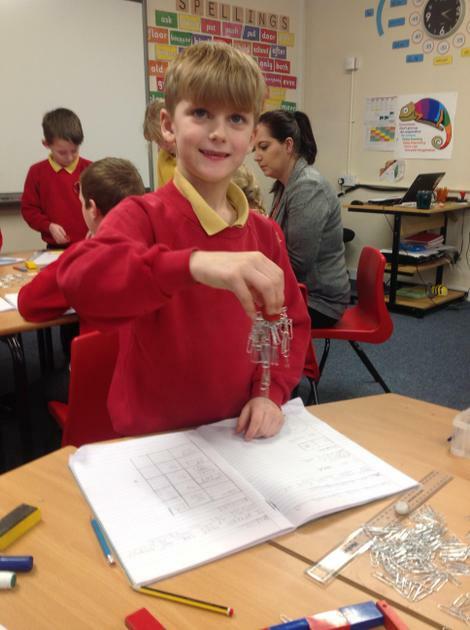 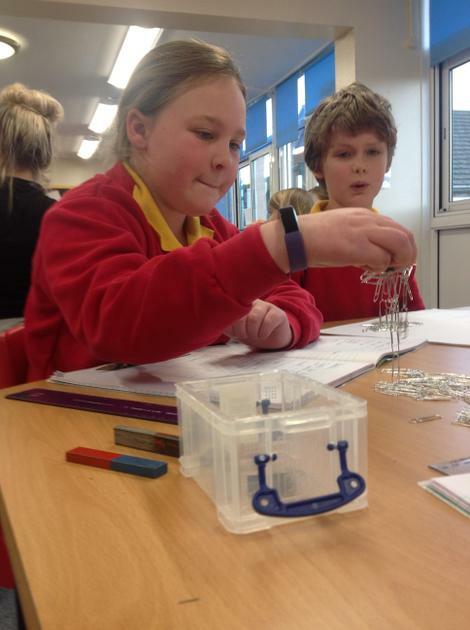 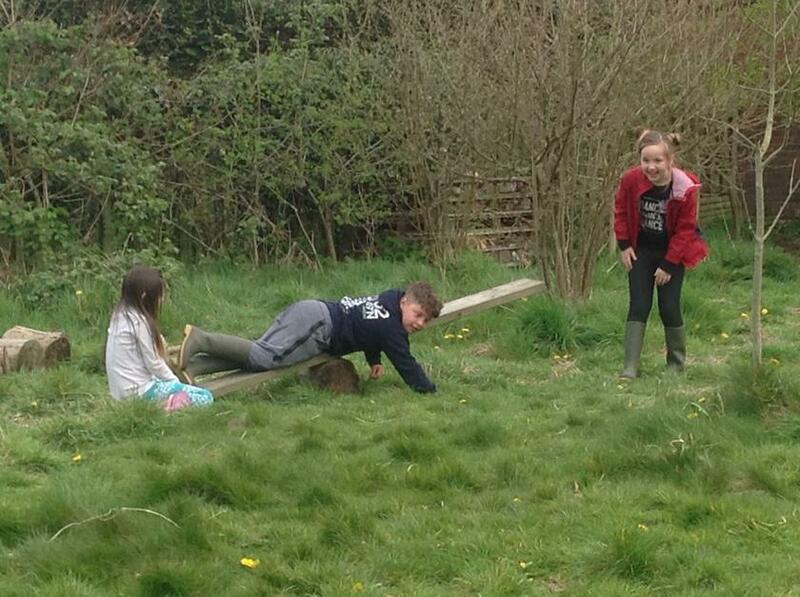 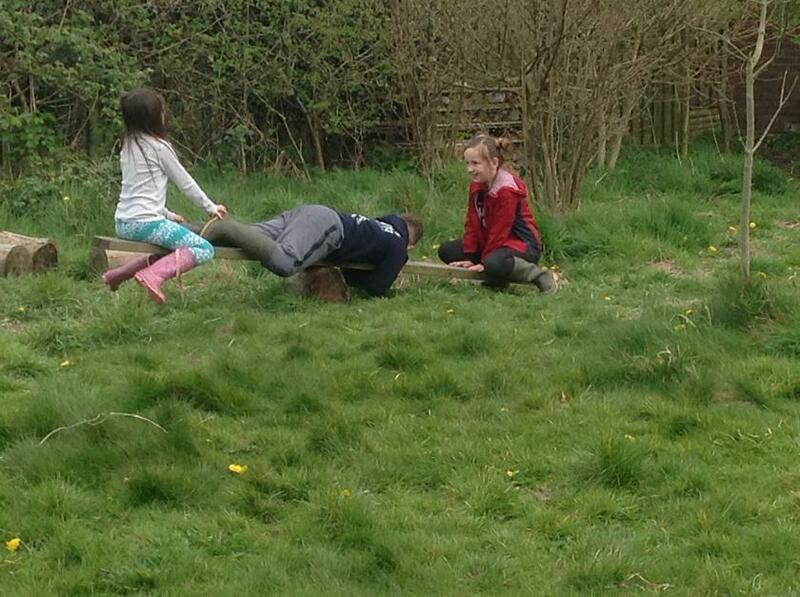 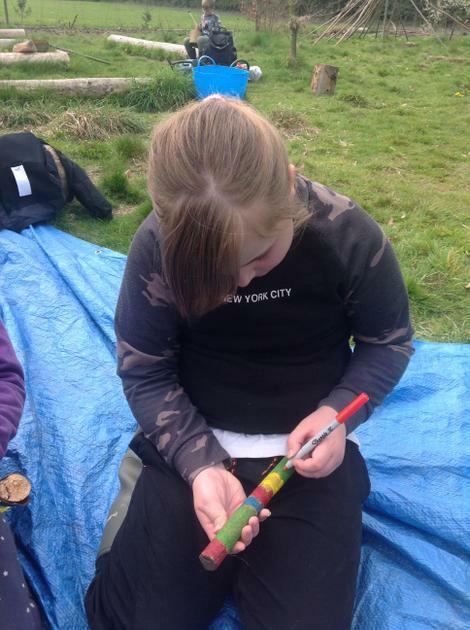 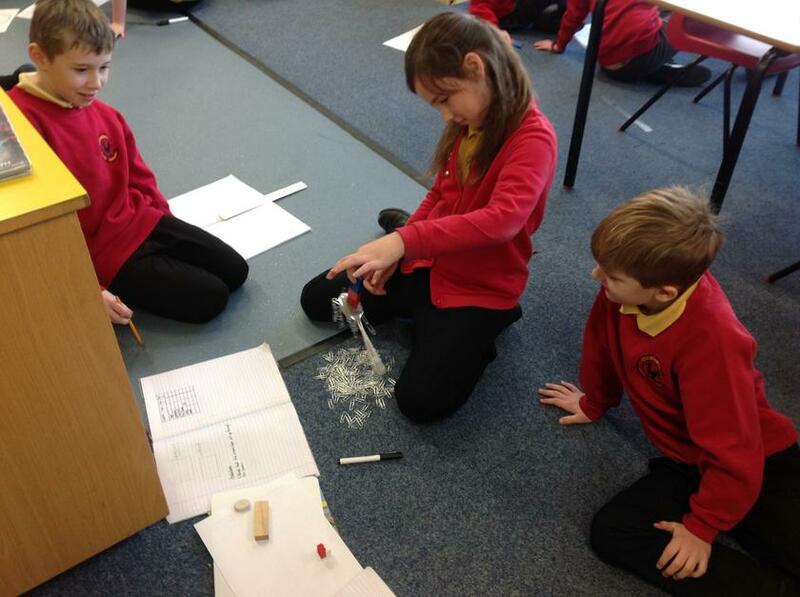 We have enjoyed a very hands on science topic this half term based on magnets. 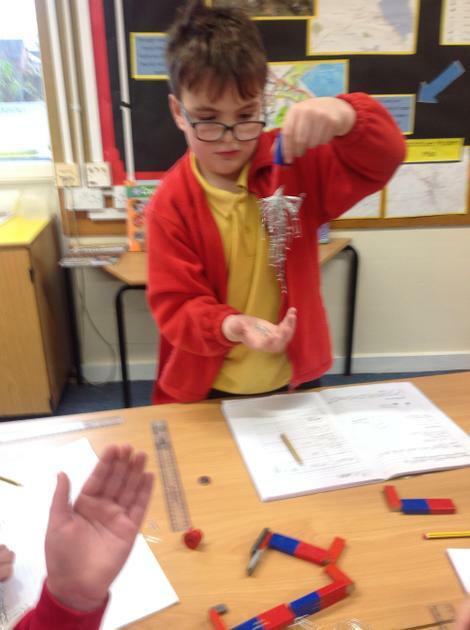 We have investigated the different strengths of a range of magnets and explored which materials the magnetic force can travel through. 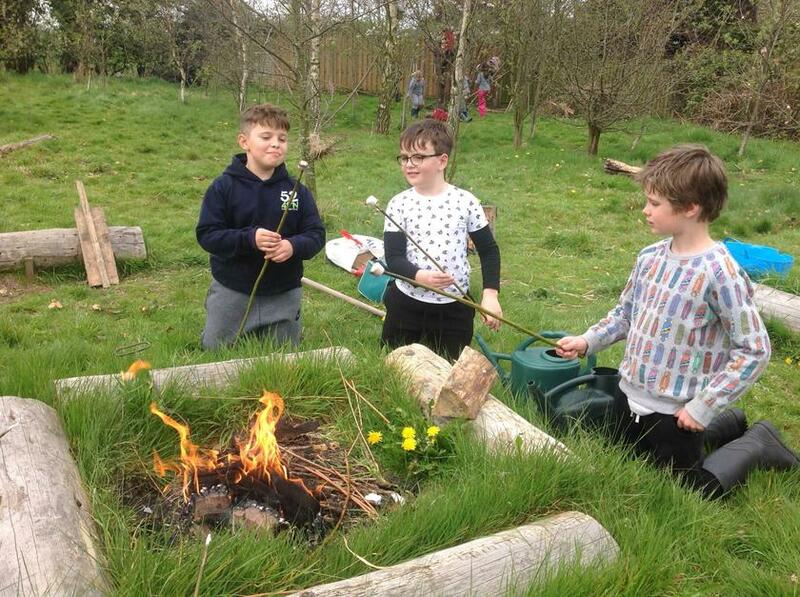 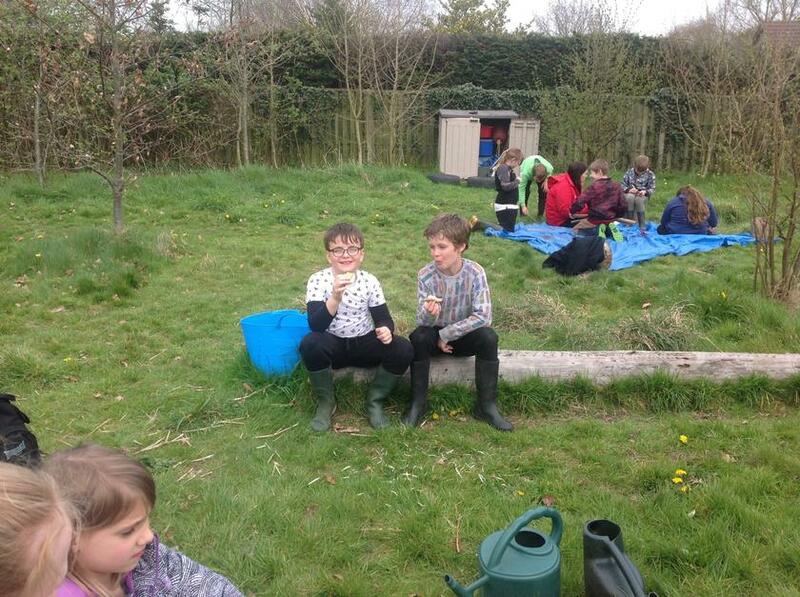 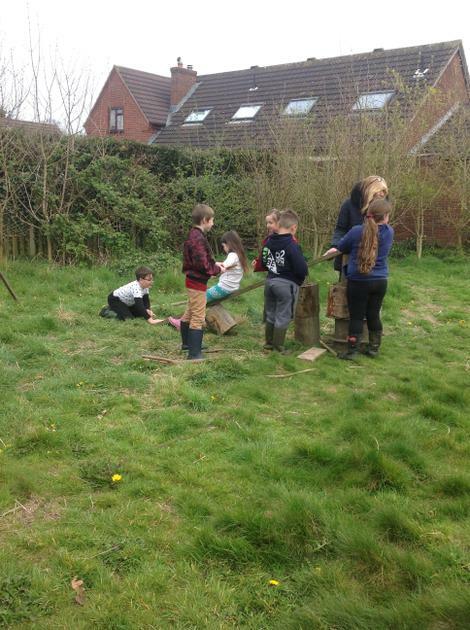 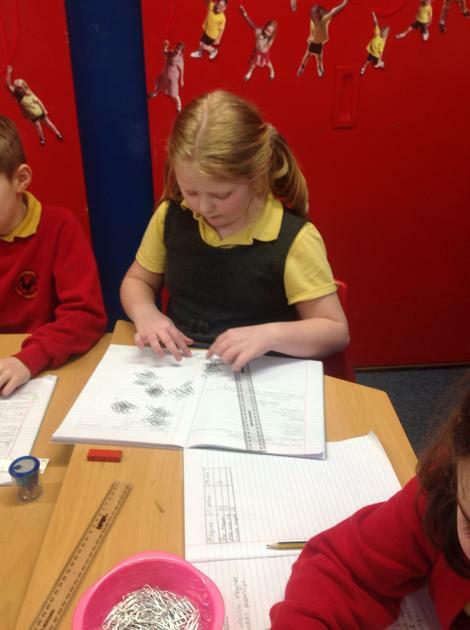 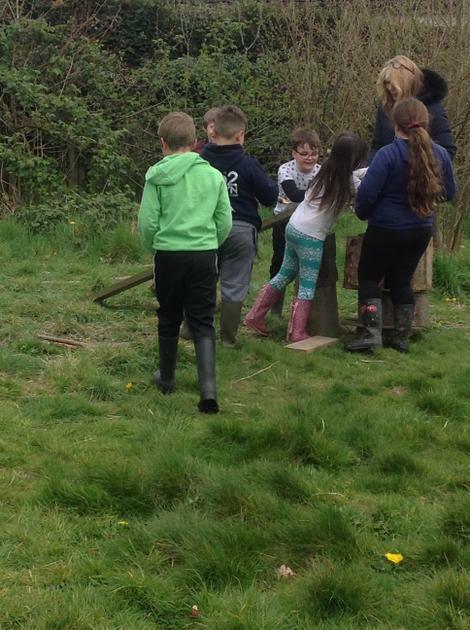 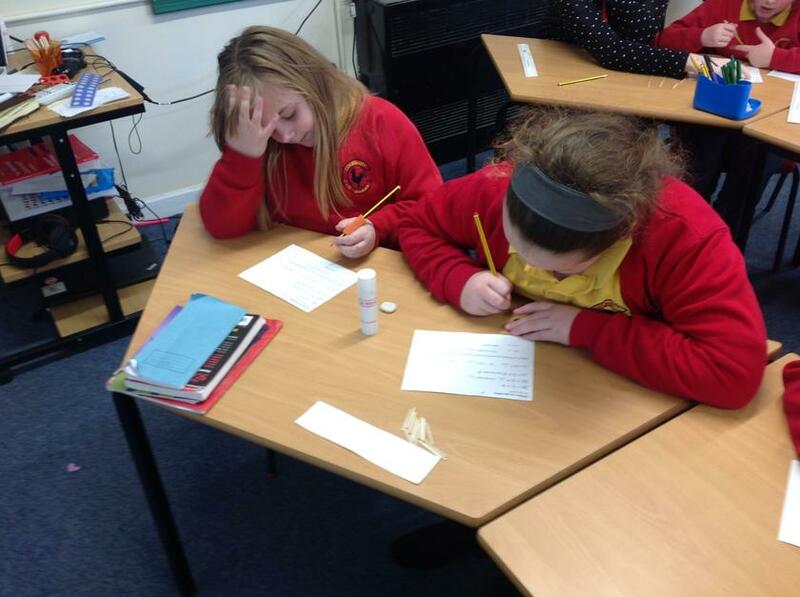 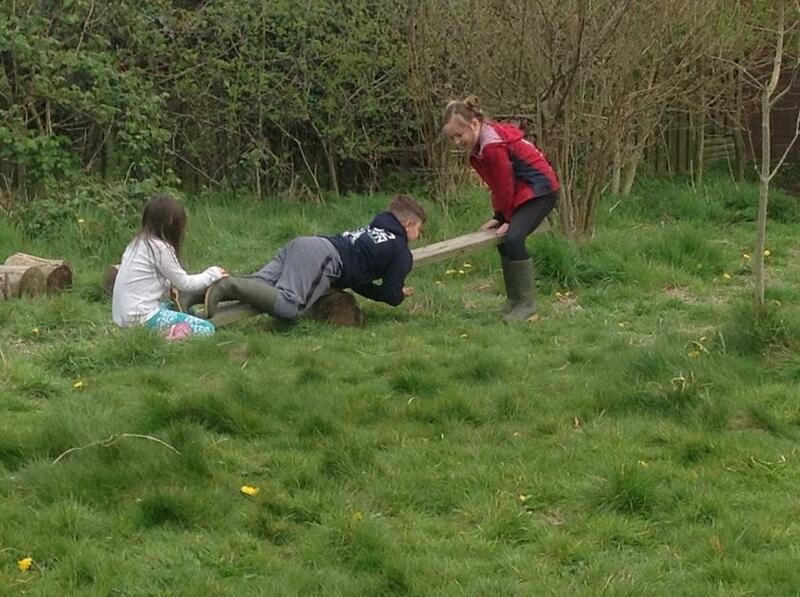 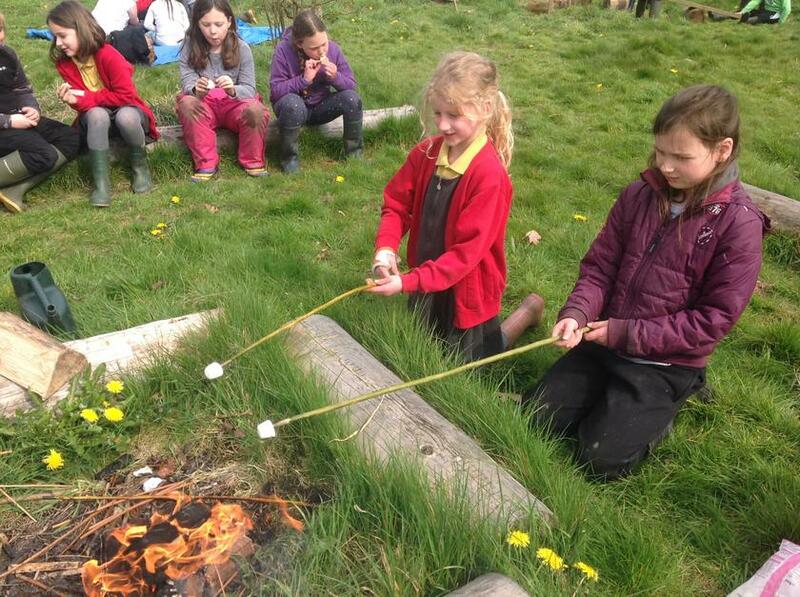 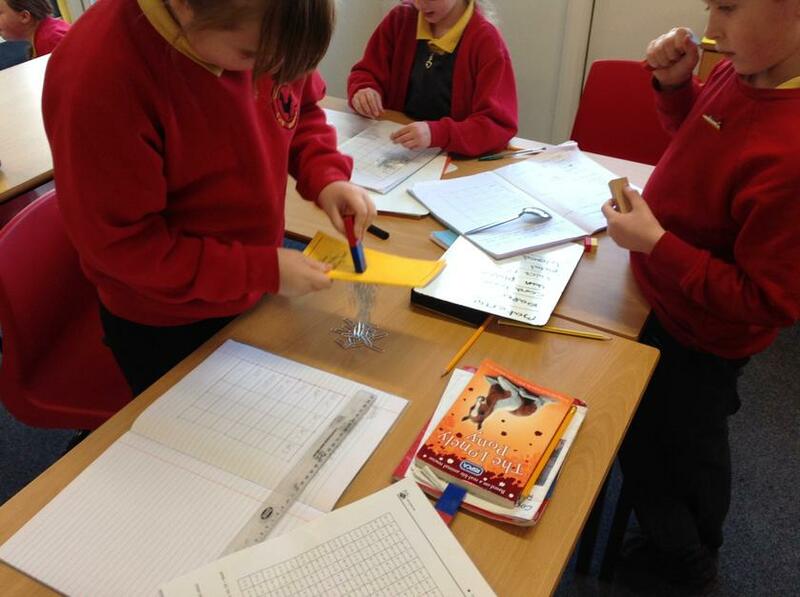 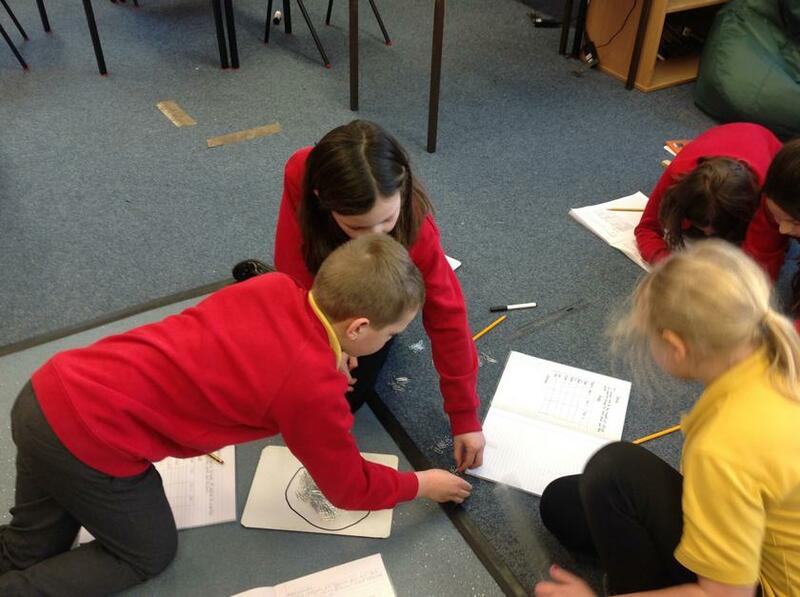 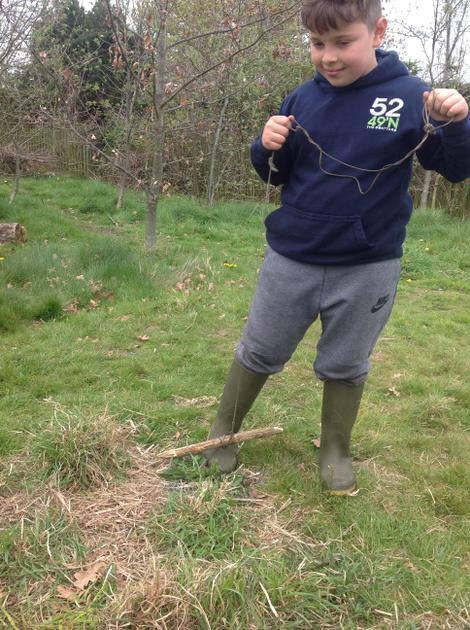 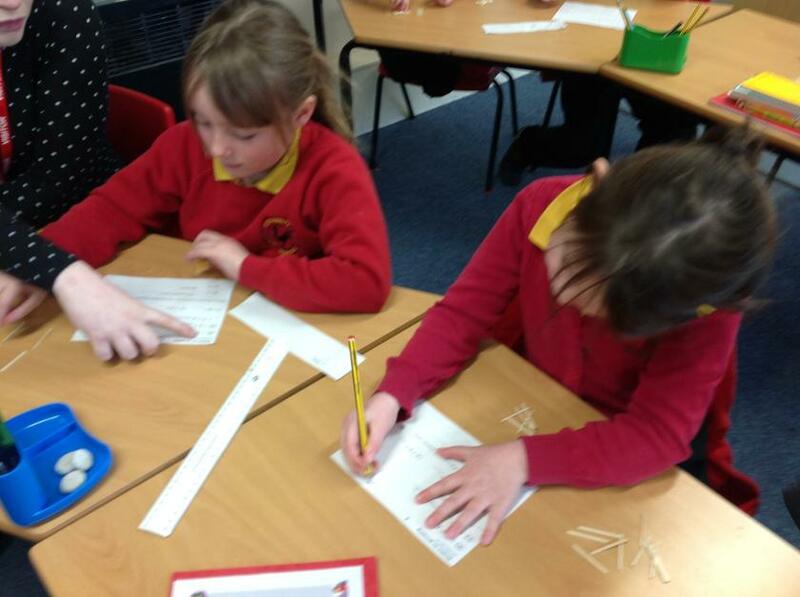 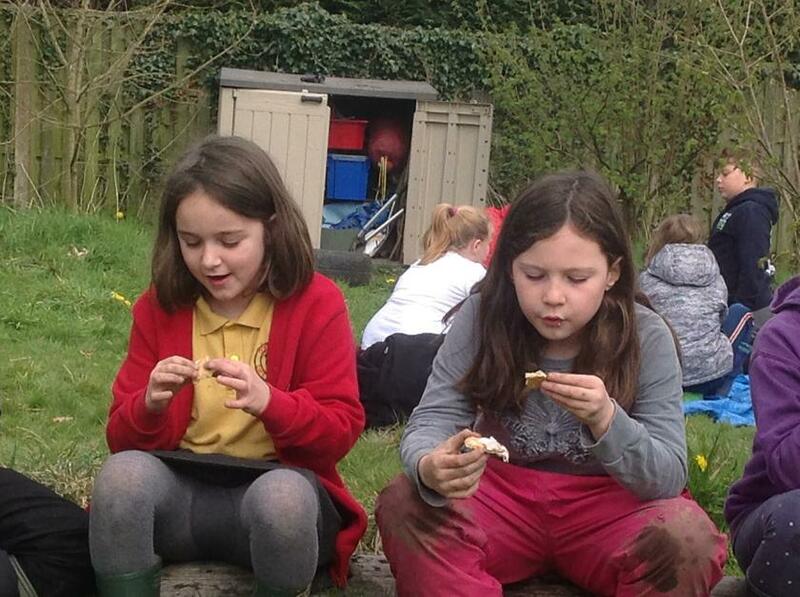 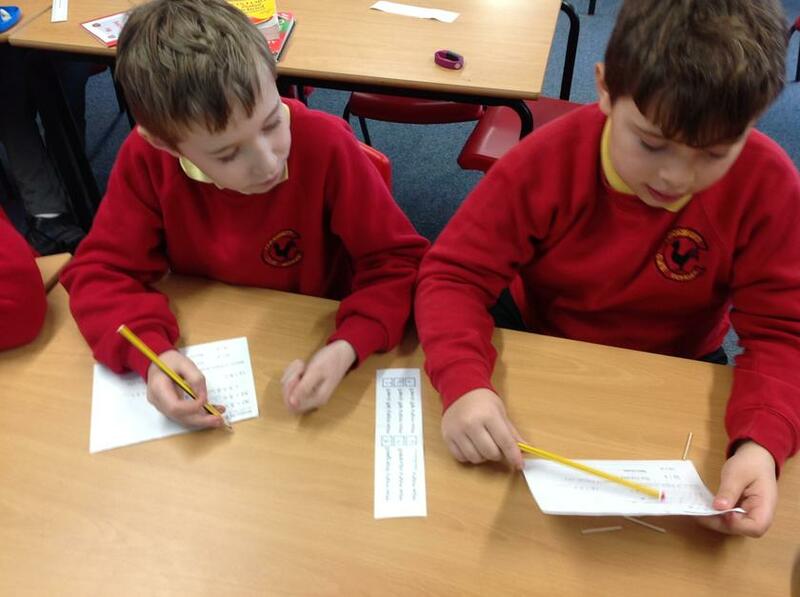 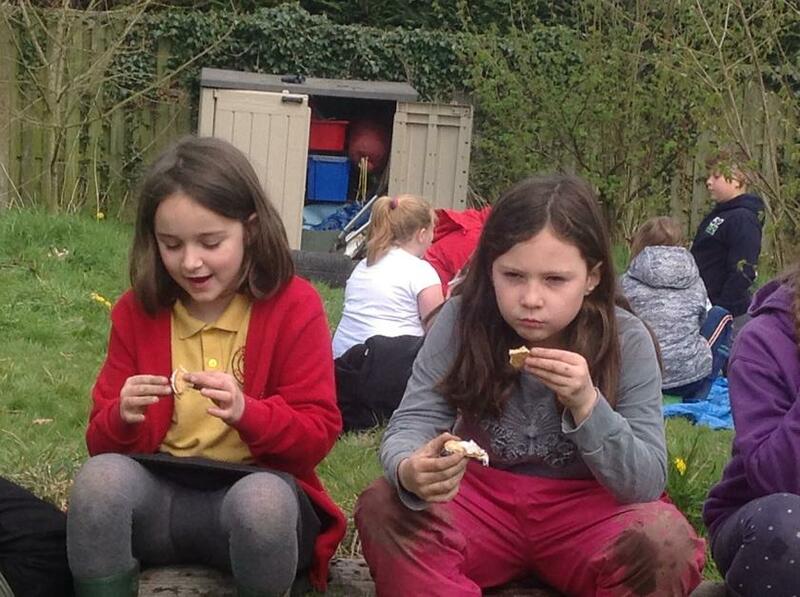 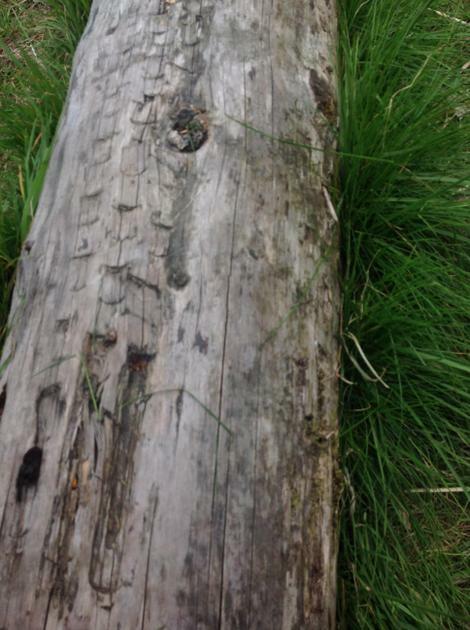 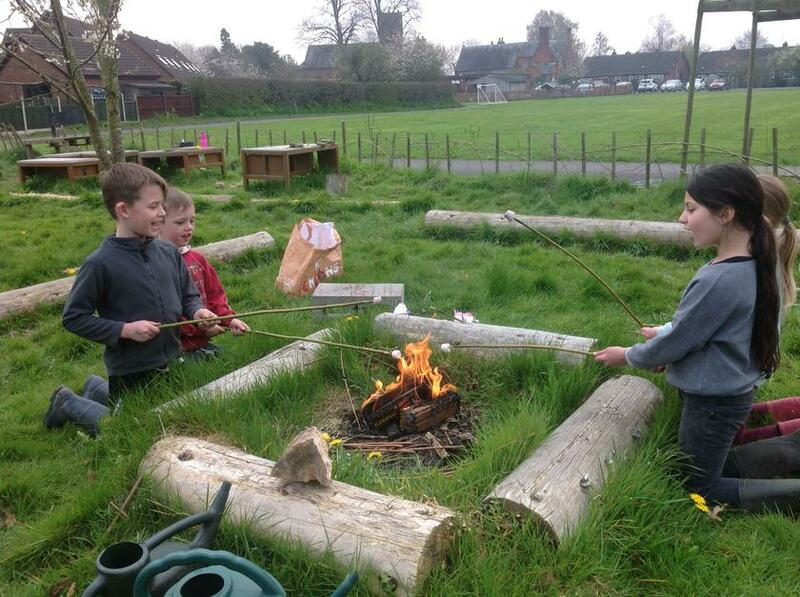 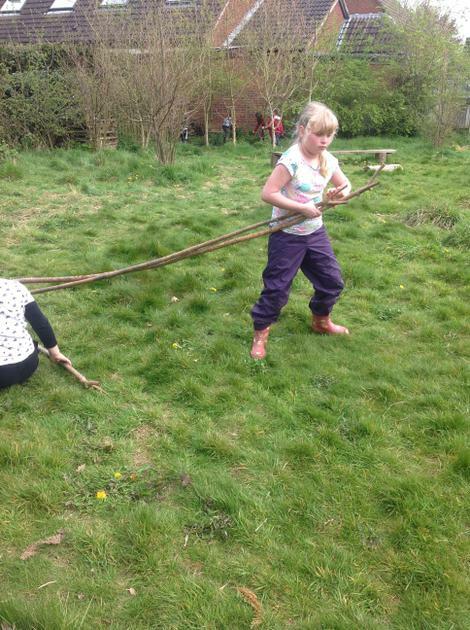 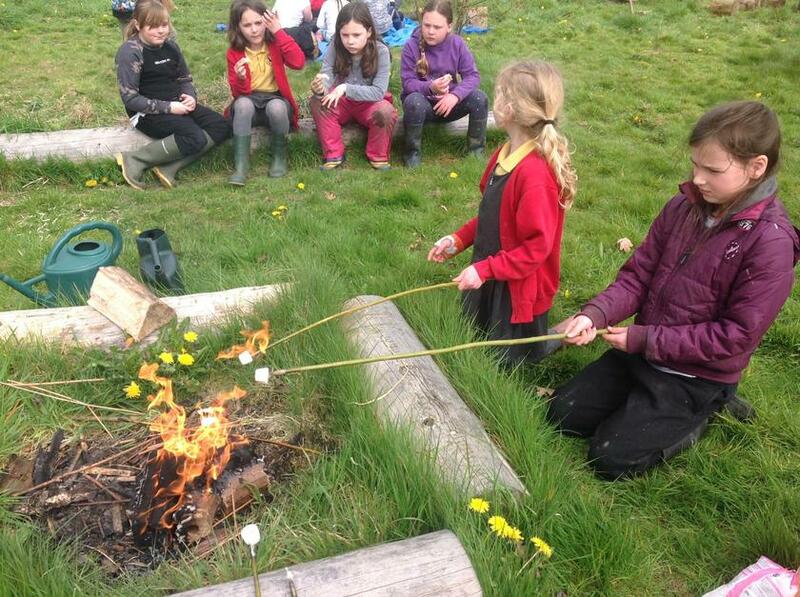 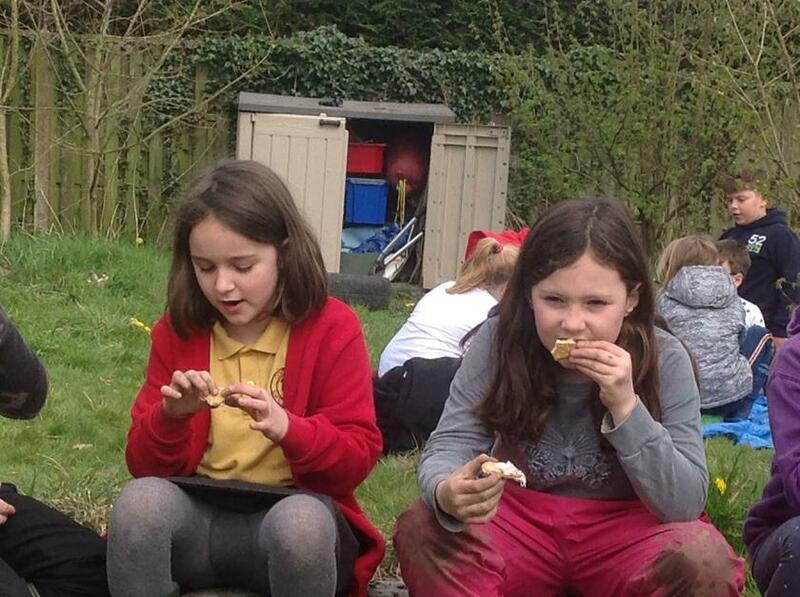 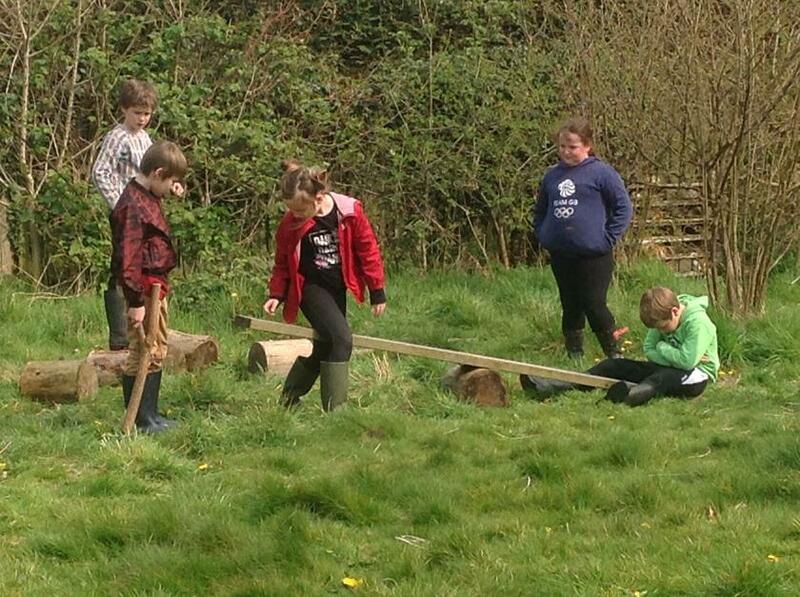 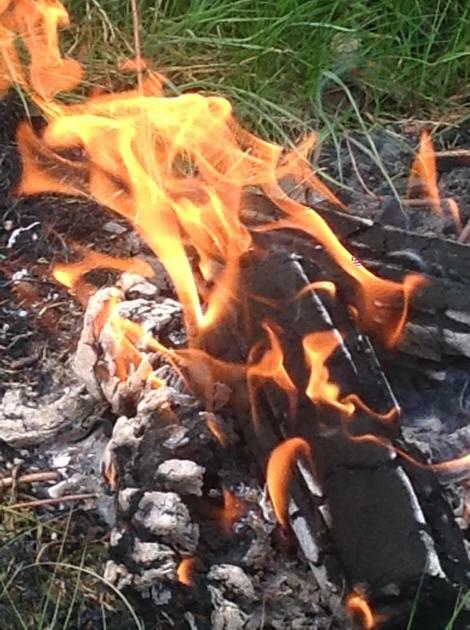 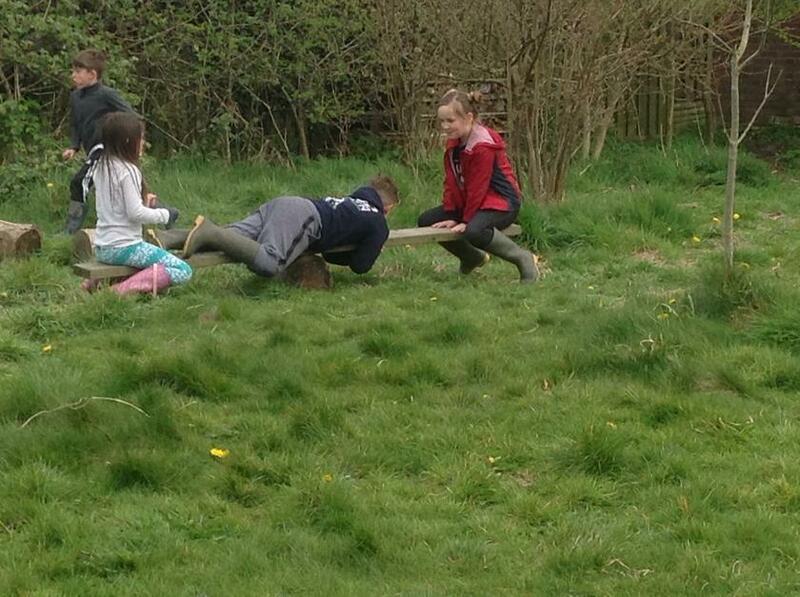 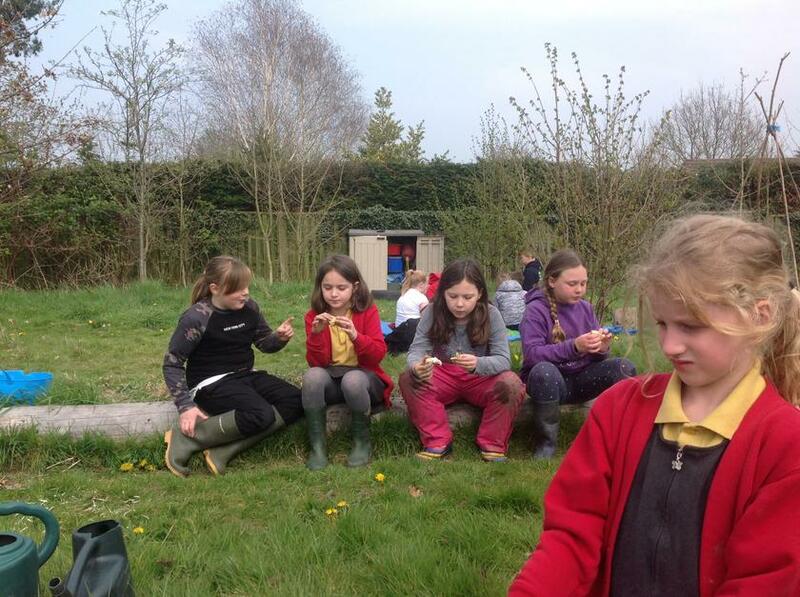 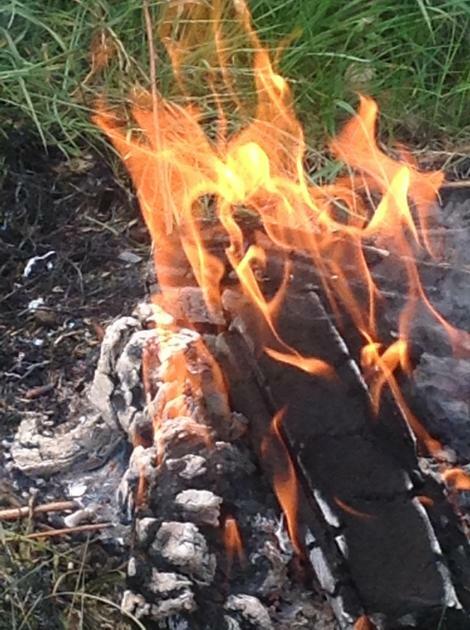 We have learnt how to plan and carry out a fair investigation and use the results to reach a conclusion. 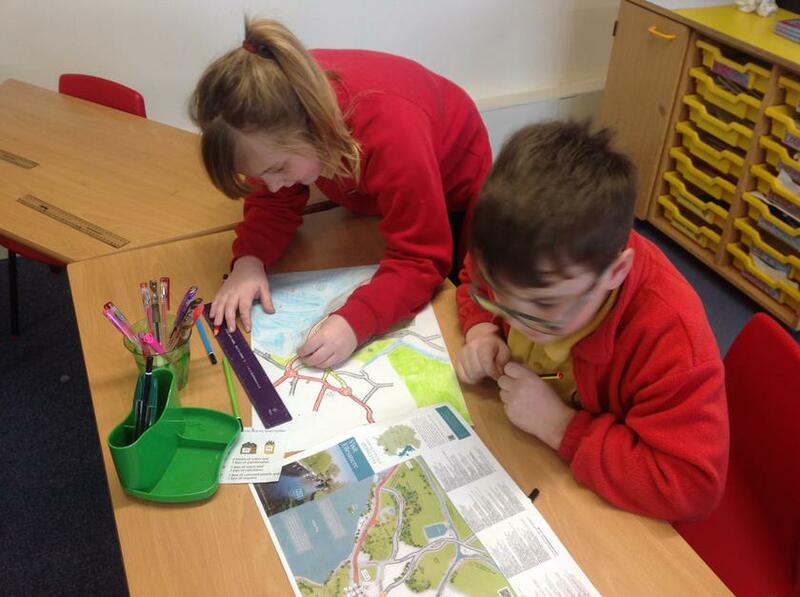 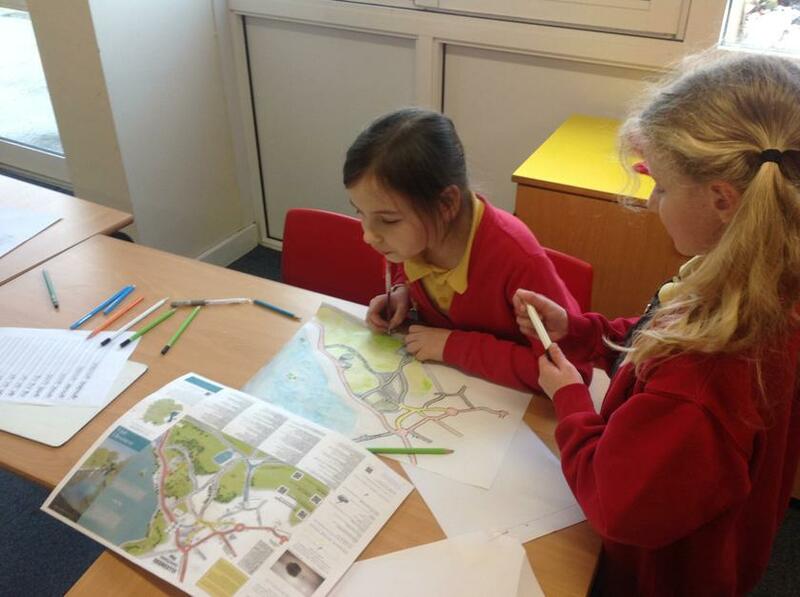 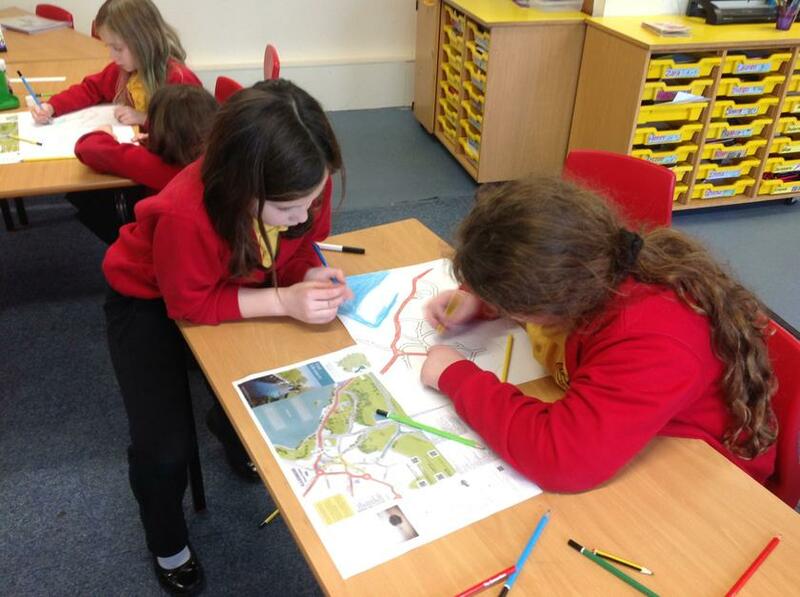 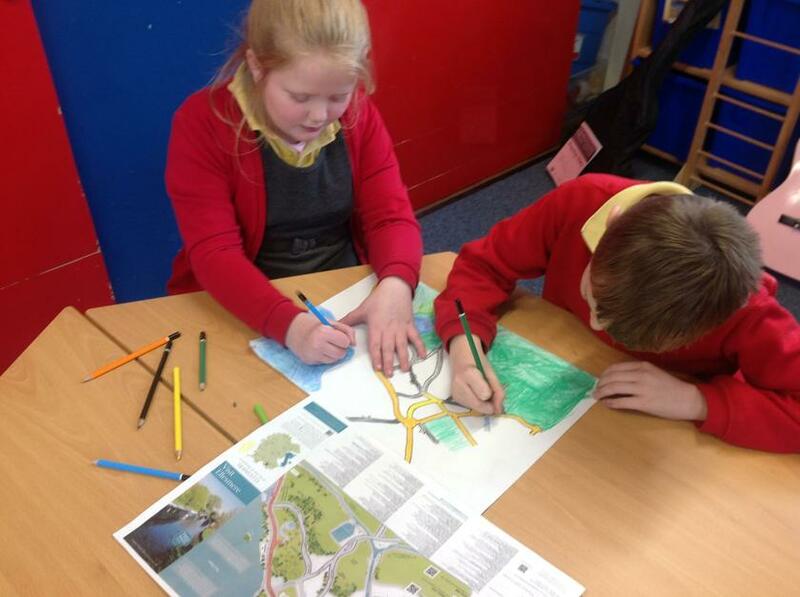 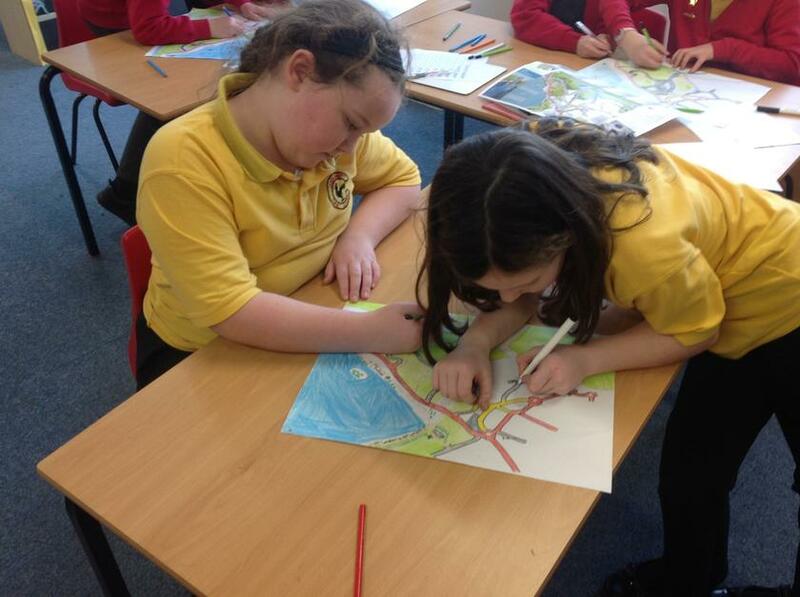 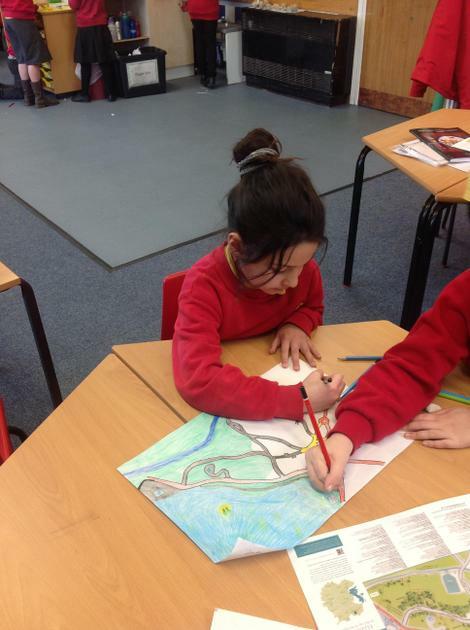 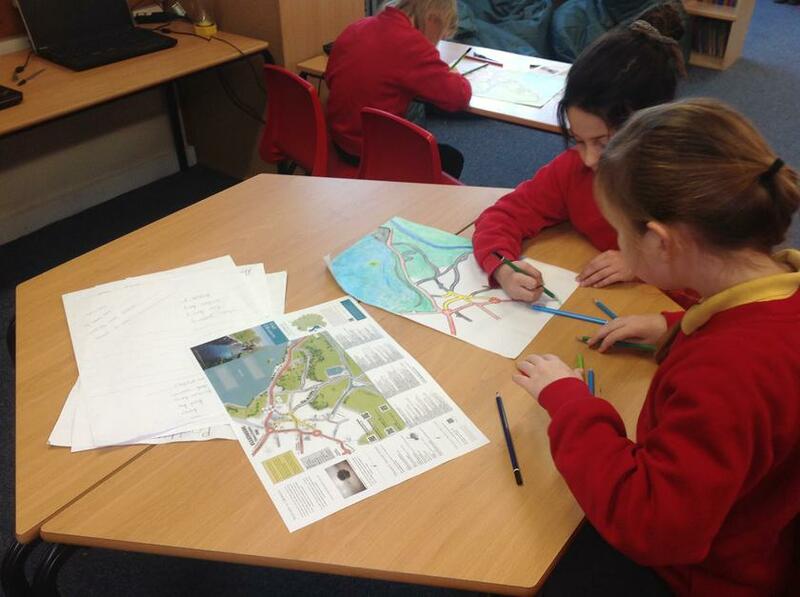 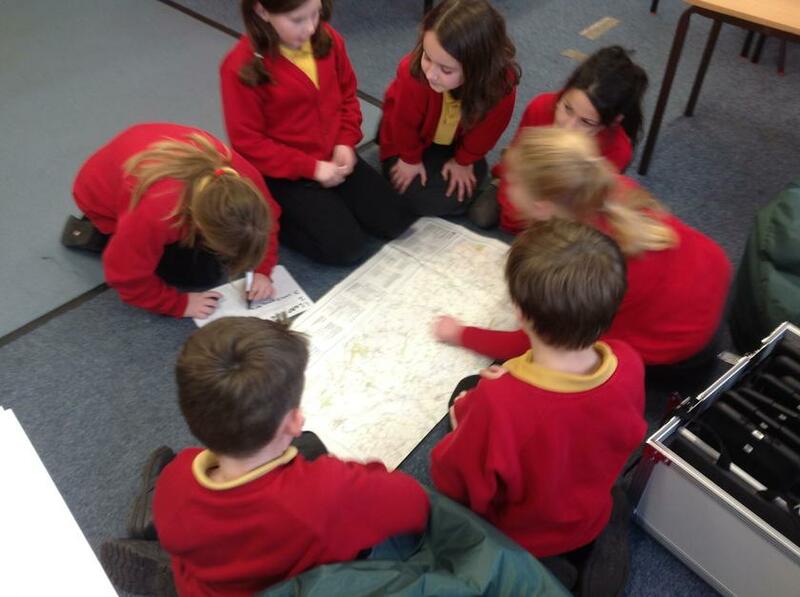 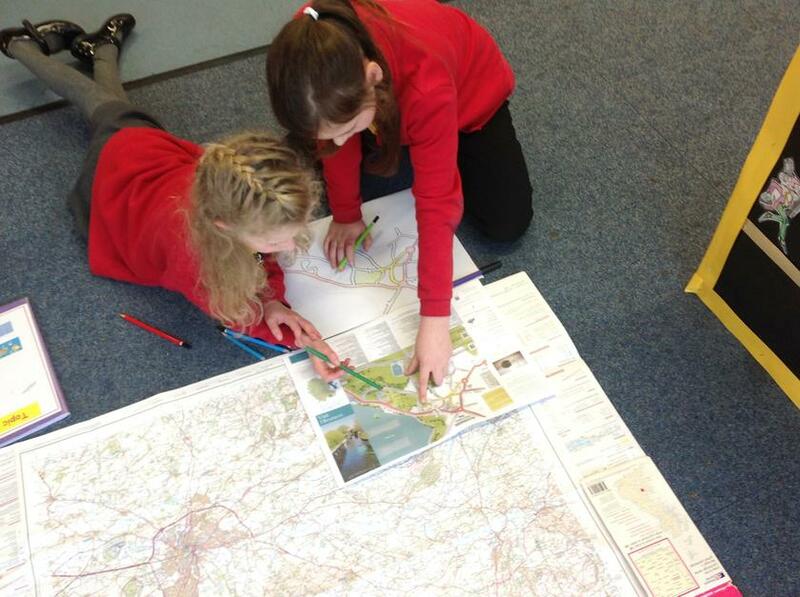 Our topic work this term is focusing on developing our mapping skills. 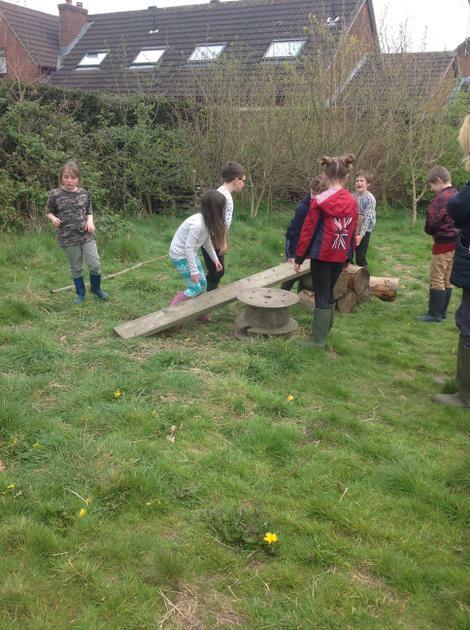 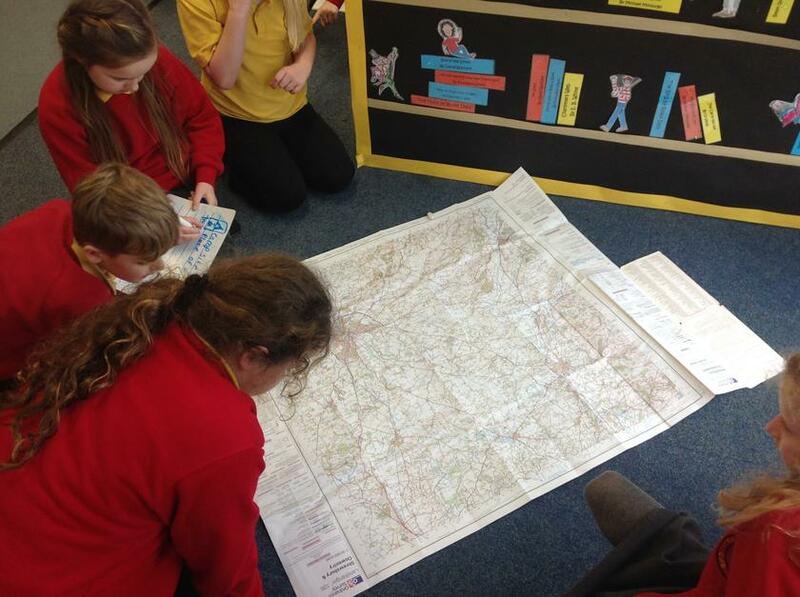 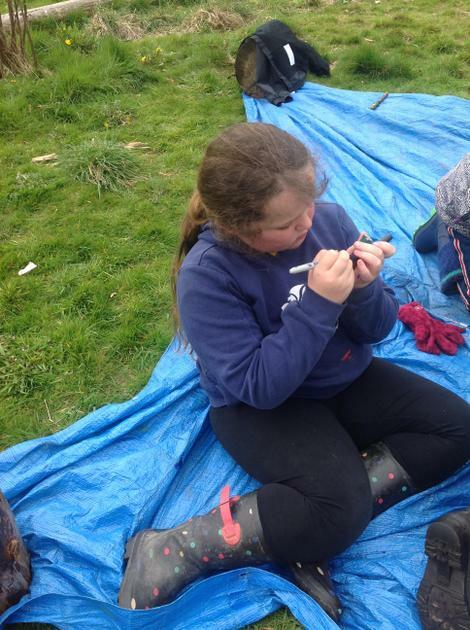 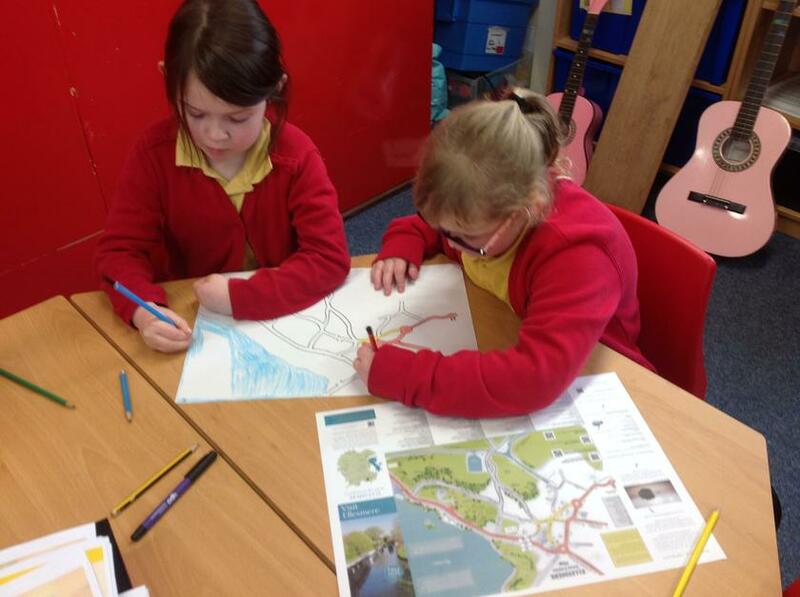 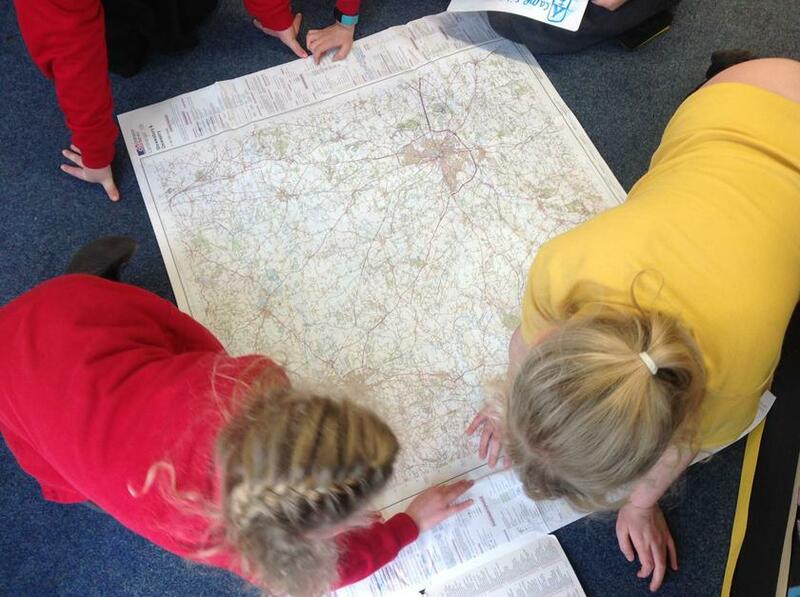 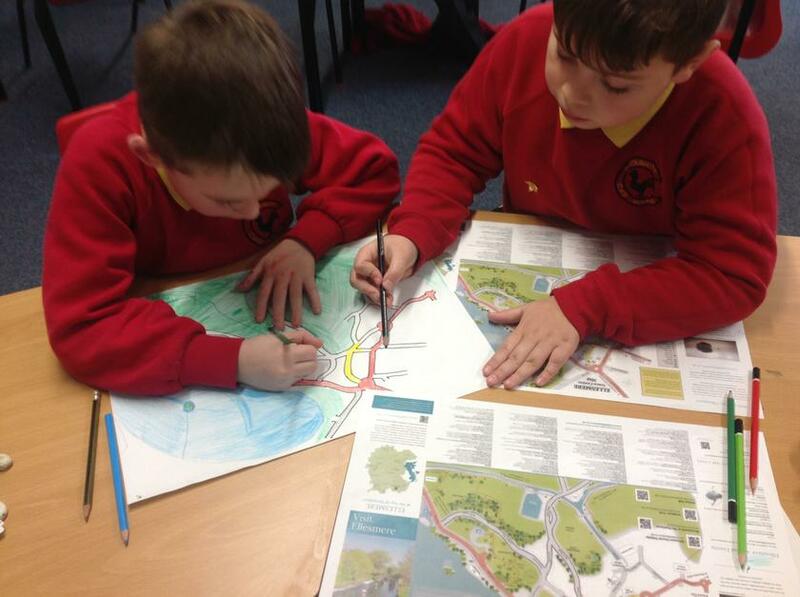 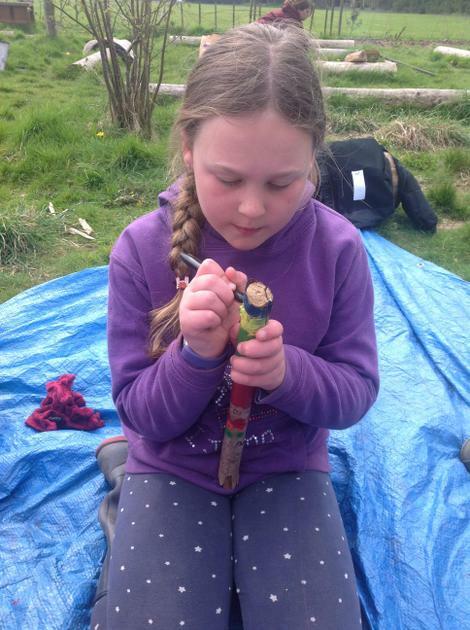 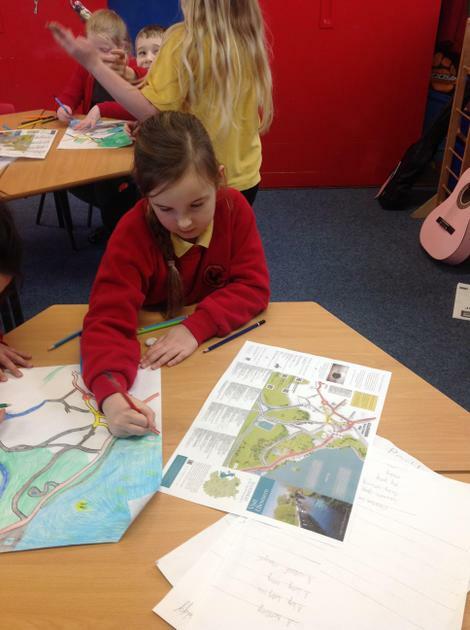 We have linked this learning to our local area by finding towns and villages on a map of North Shropshire, learning about map symbols using ordnance maps and studying tourist maps. 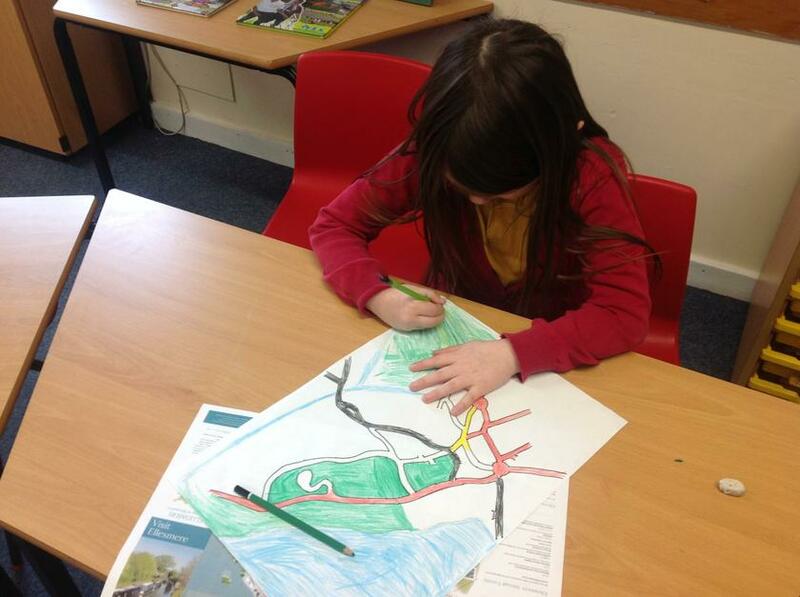 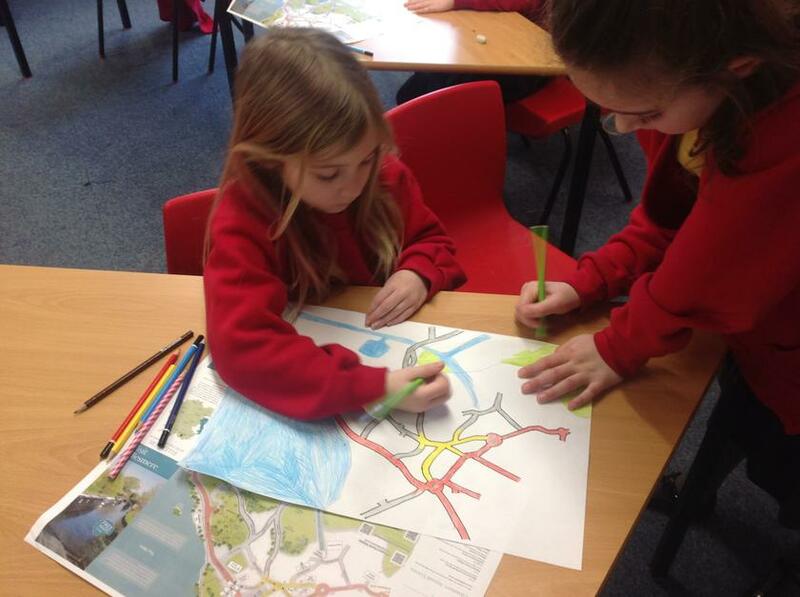 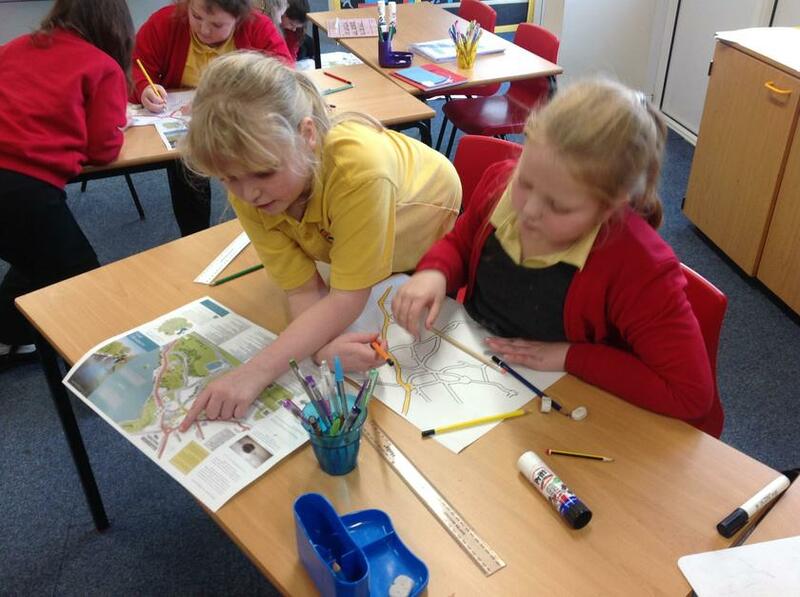 We then applied this understanding to create our own local map of Ellesmere.